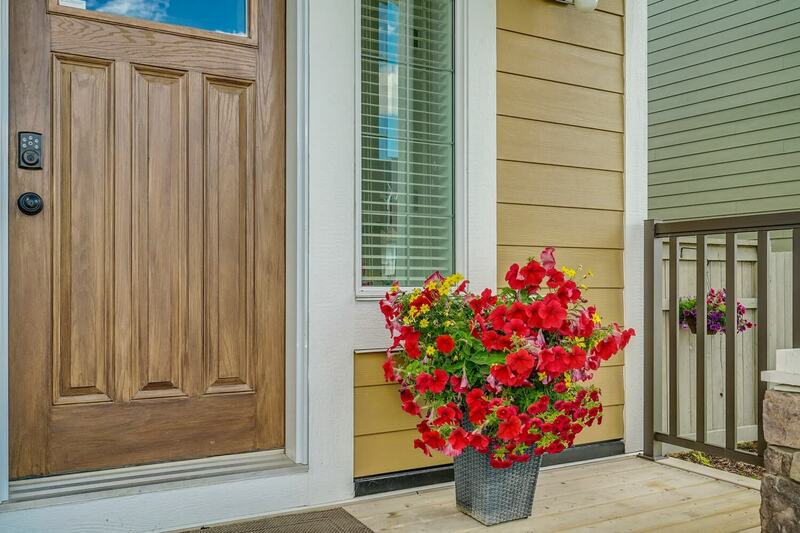 And the front entrance of the Triumph makes the kind of first impression that invites second looks. 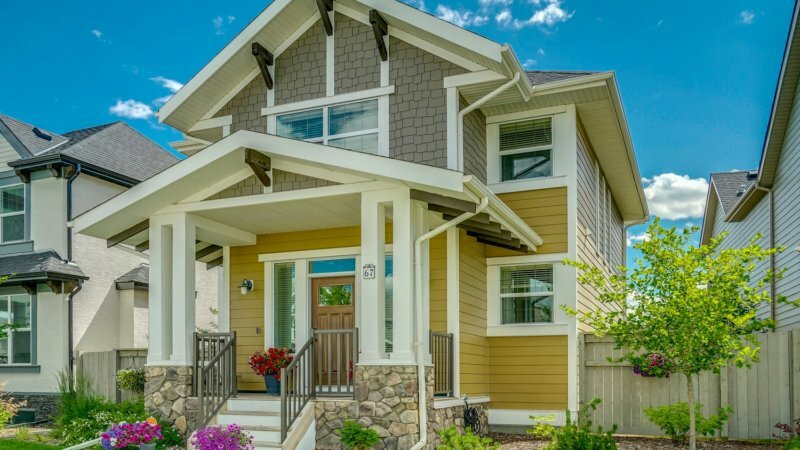 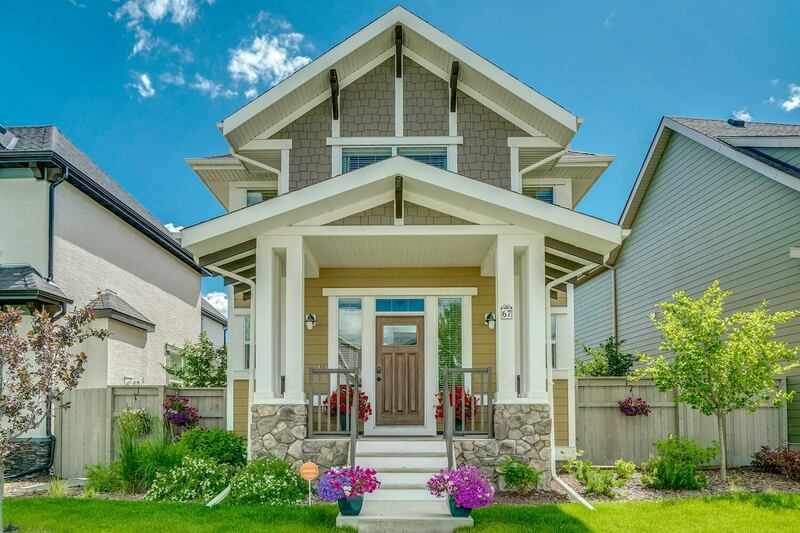 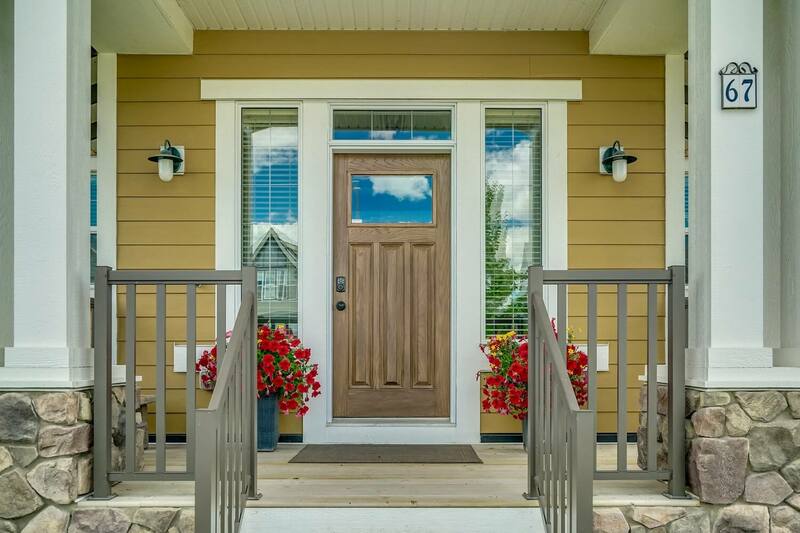 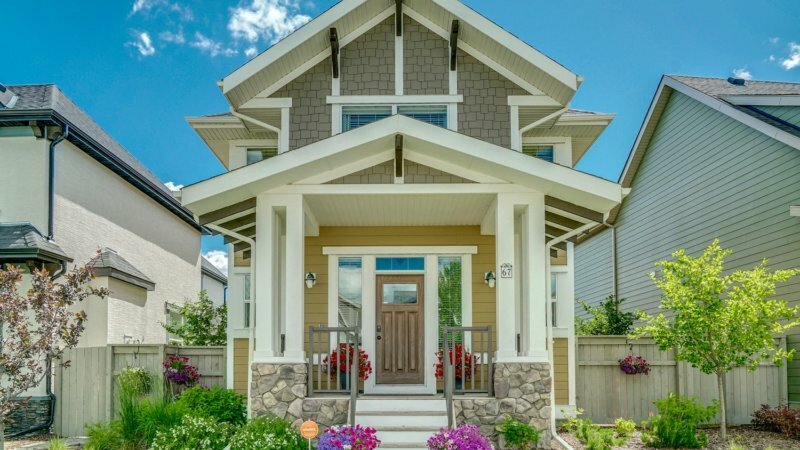 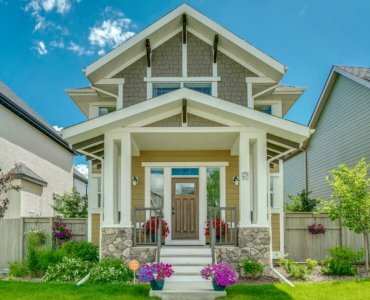 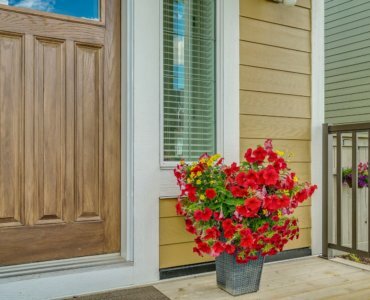 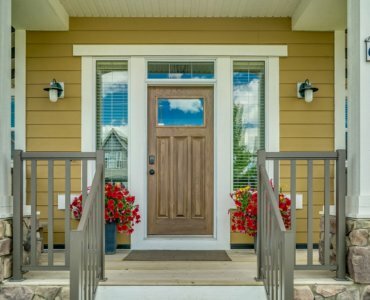 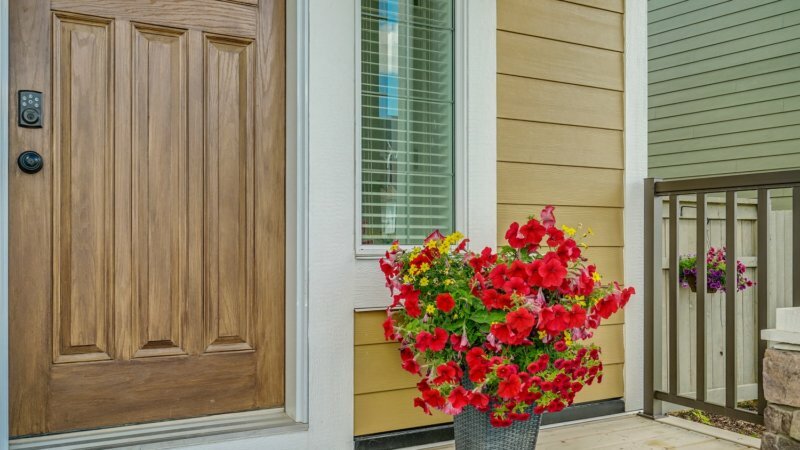 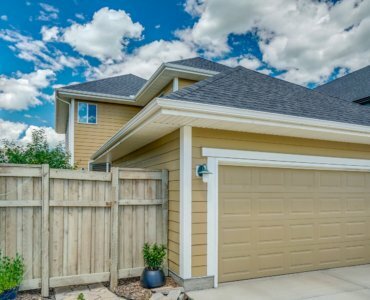 The back-attached garage home designed by Hopewell Residential has an attractive street presence in the southeast community of Mahogany, with a friendly covered front porch framed by wooden columns. 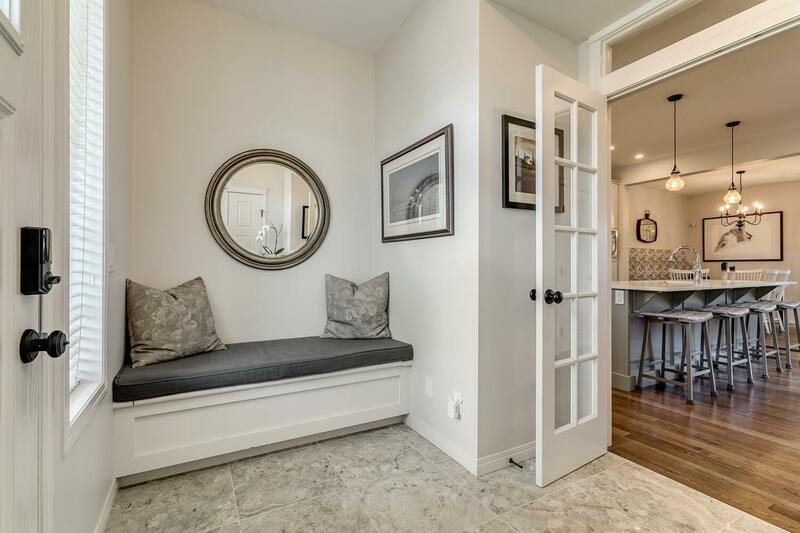 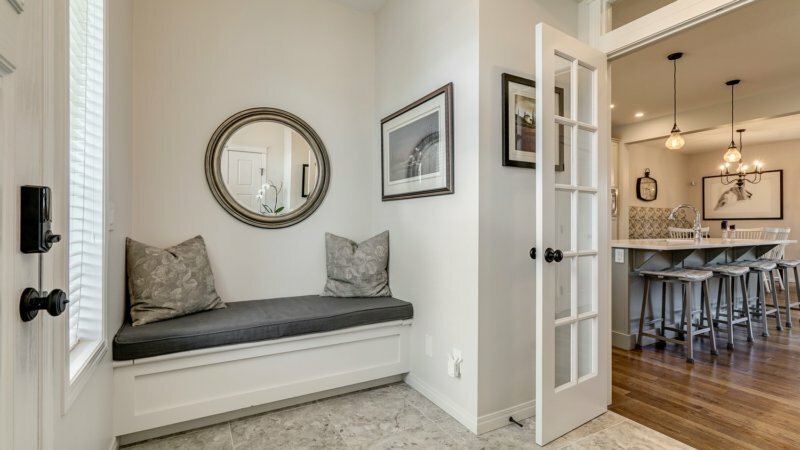 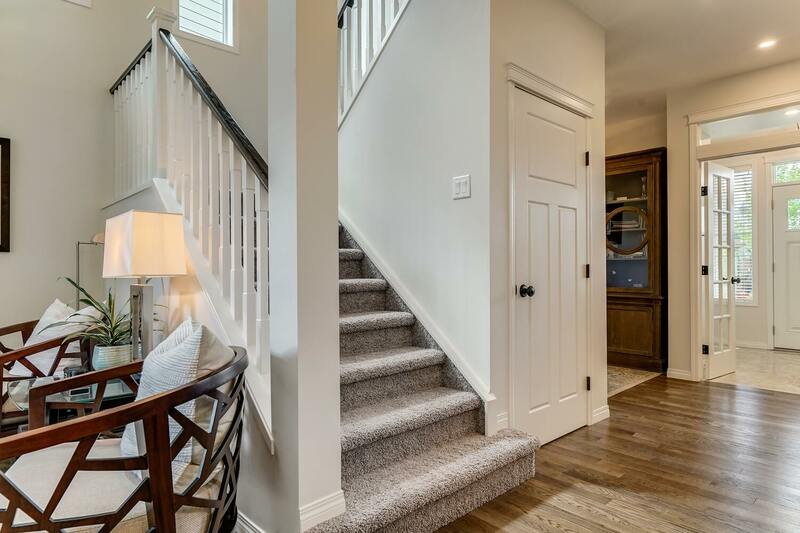 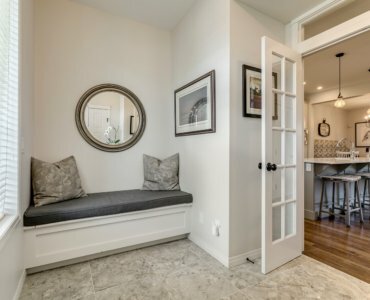 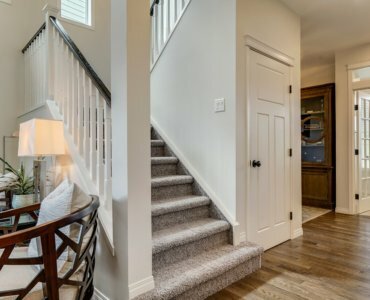 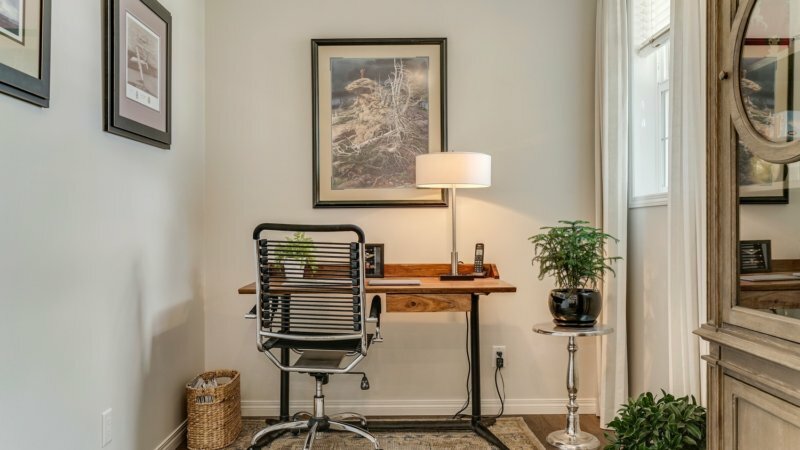 The front door opens onto the front foyer, with a built-in bench to sit on to do up boots on one side and a closet to stow outerwear on the other. 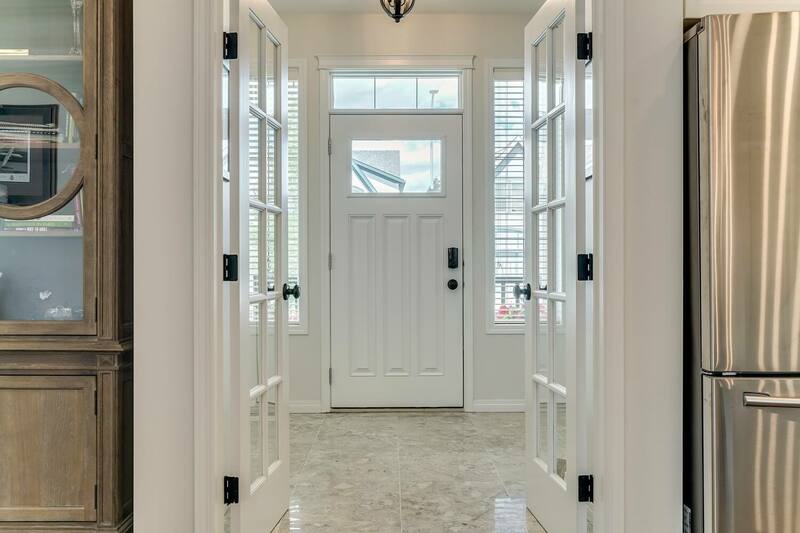 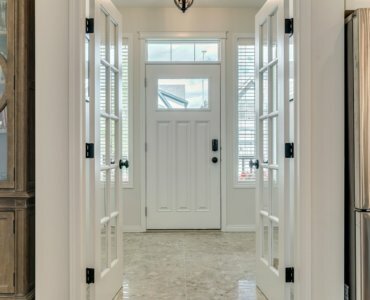 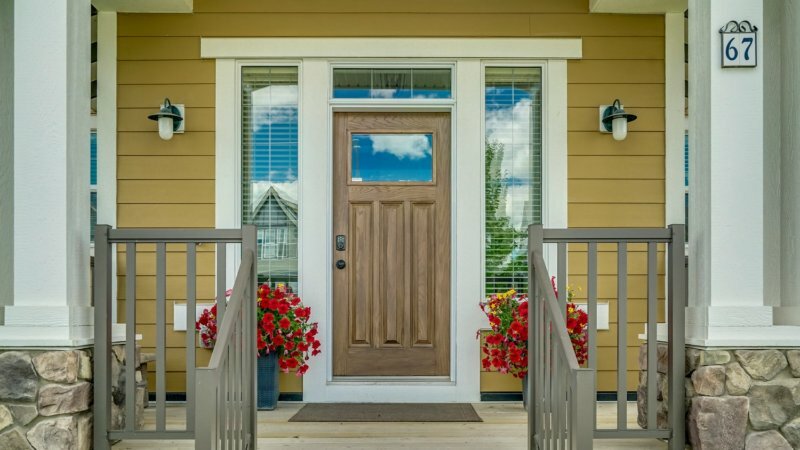 Adding to the ambiance are french doors that separate the foyer from the main home. 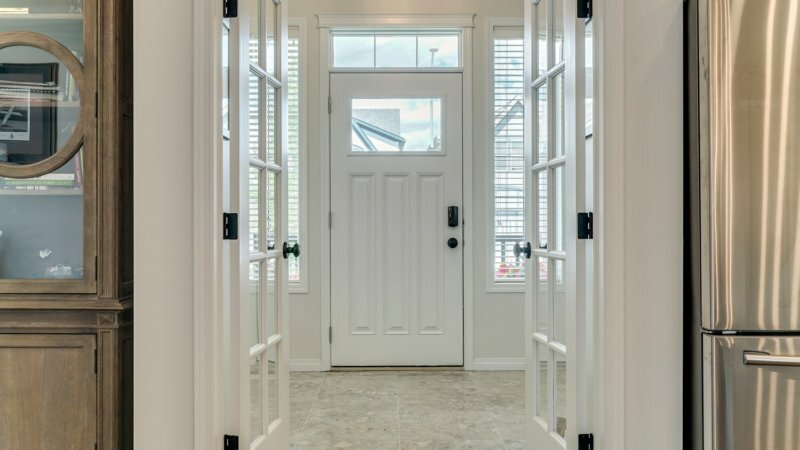 These french doors are not only beautiful, but they’re practical, too, saving ankles from freezing gusts that would otherwise rip through the house when the front door swings wide to greet family or guests in winter. 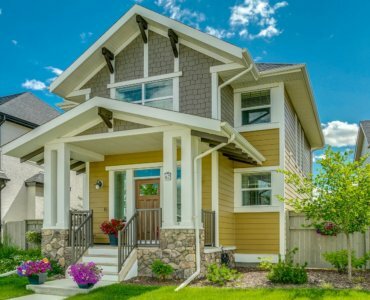 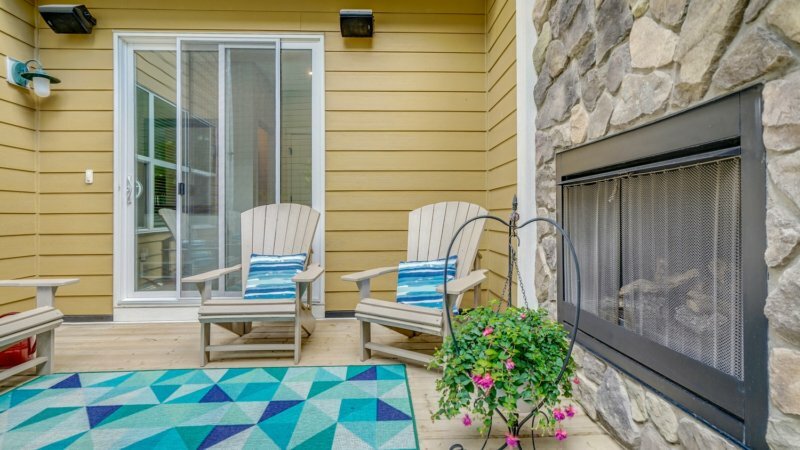 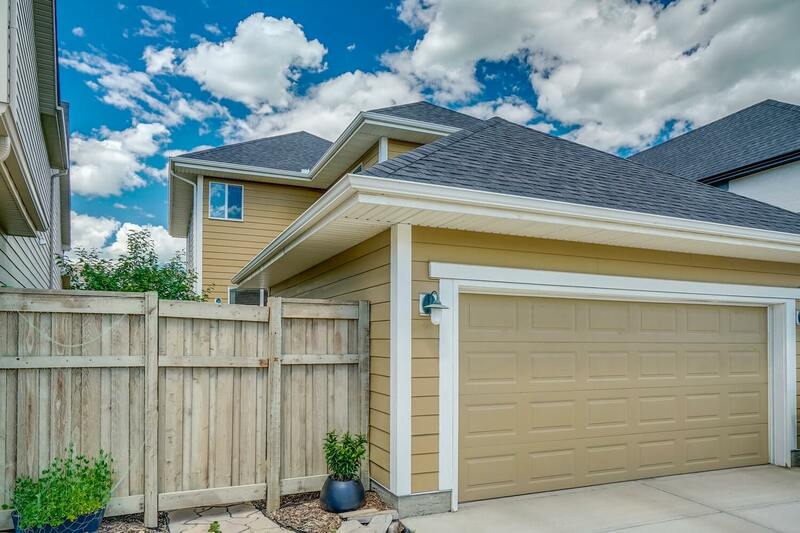 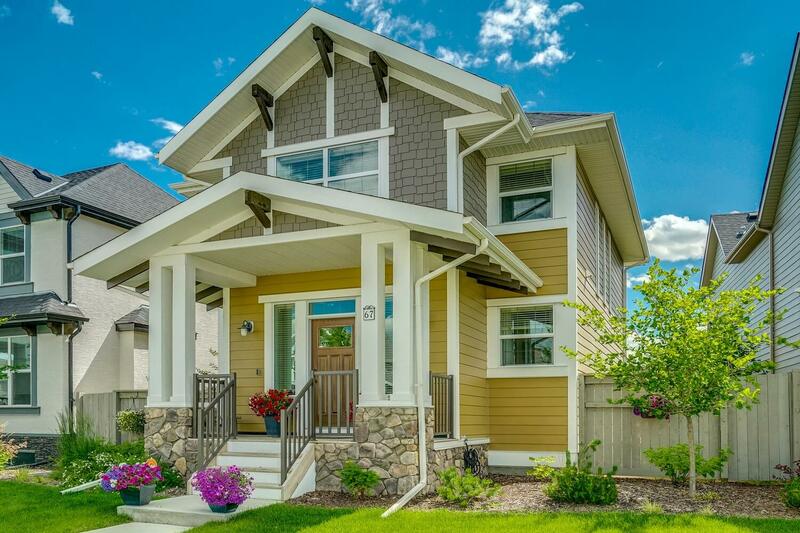 The first phase of these rear-attached garage homes have sold well. 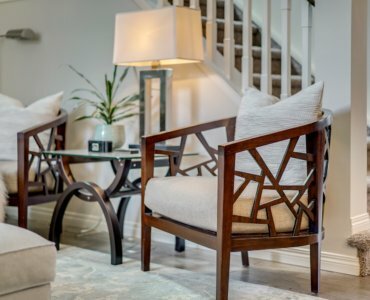 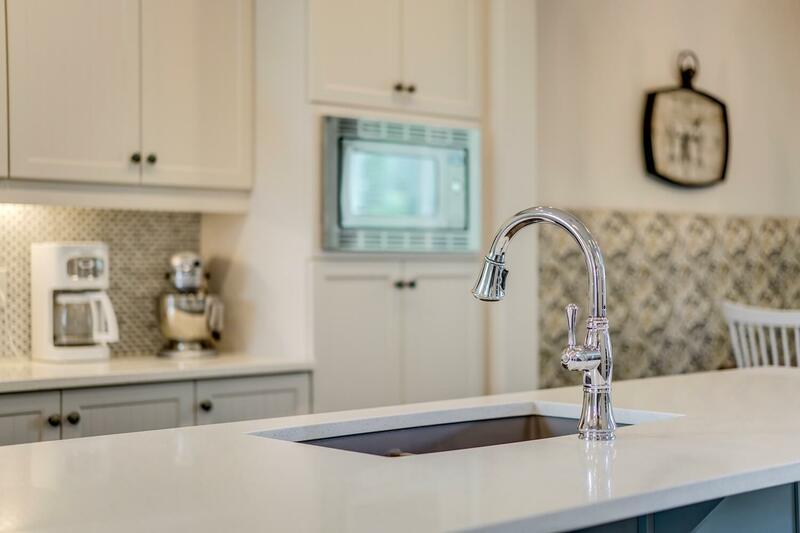 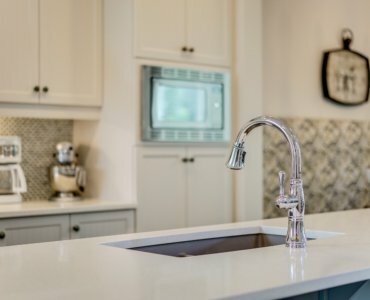 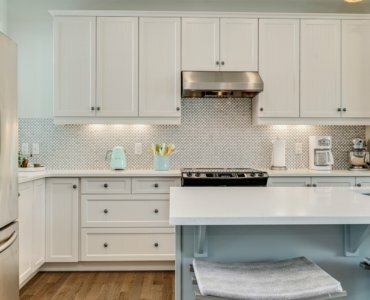 Hopewell Residential recently launched sales in a new part of Mahogany, Phase 46, which is in the southwest part of the community, close to 52nd Street and its access to transportation, as well as to future commercial development. 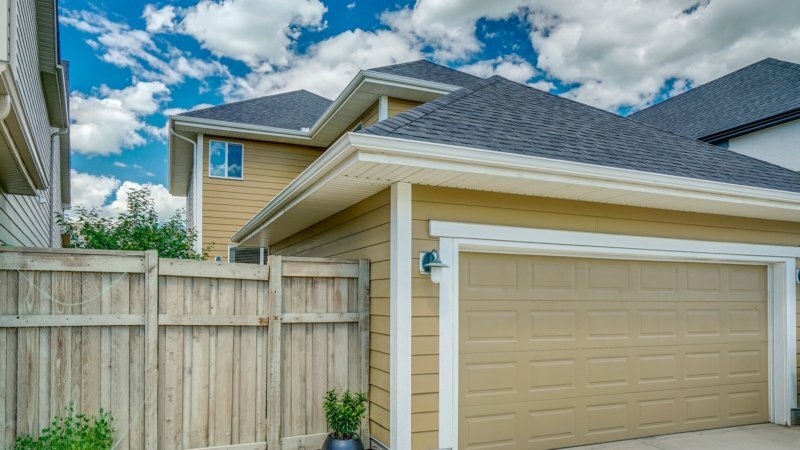 The three rear-attached show homes will remain for the time being on the northern side of the community, on Masters Avenue. 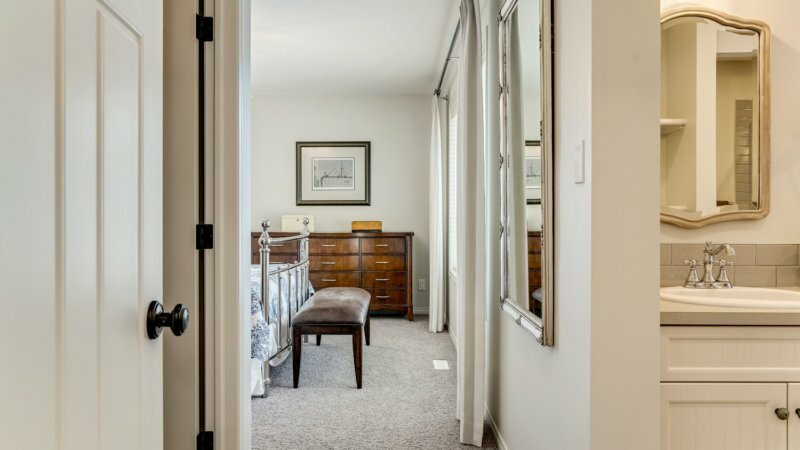 Through the french doors, a front flex room offers a quiet sanctuary to the right, with a window to look out over the street, with the stairs to the second floor just past this room. 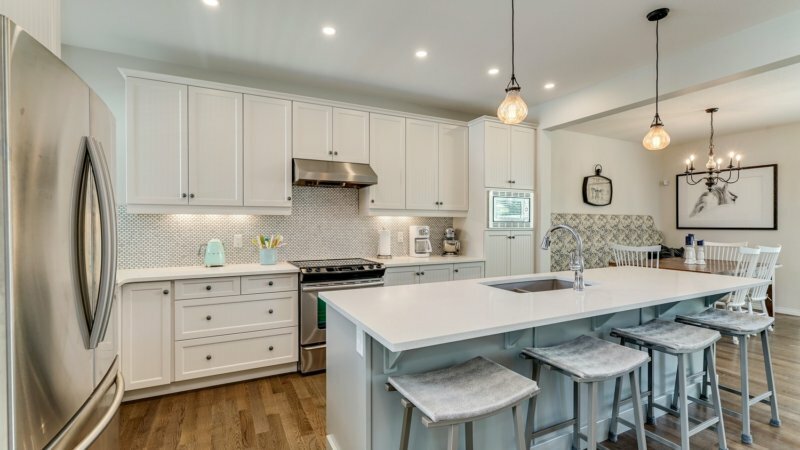 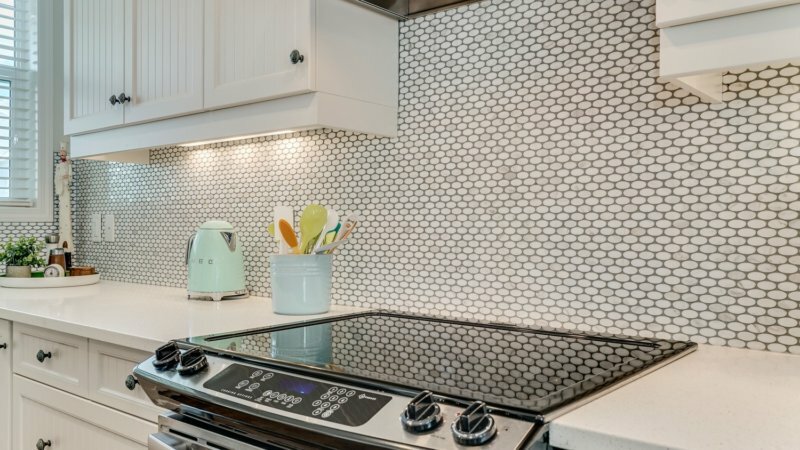 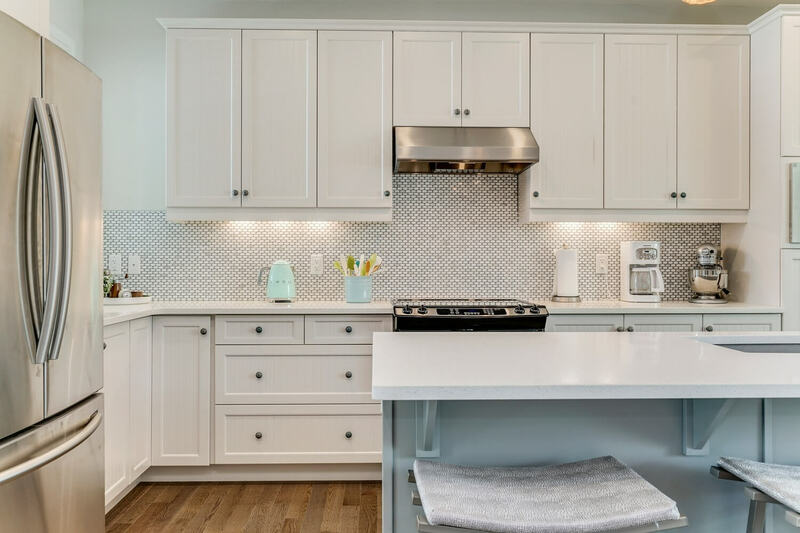 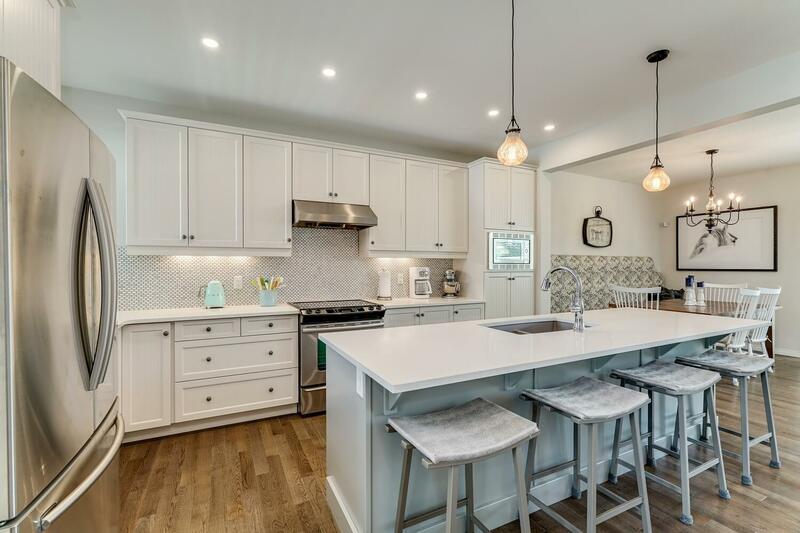 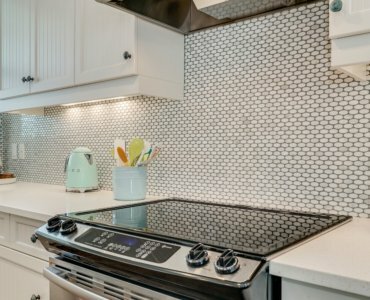 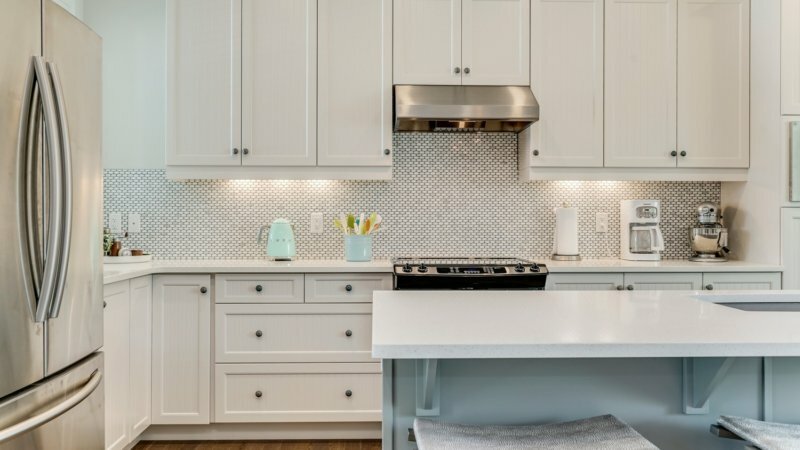 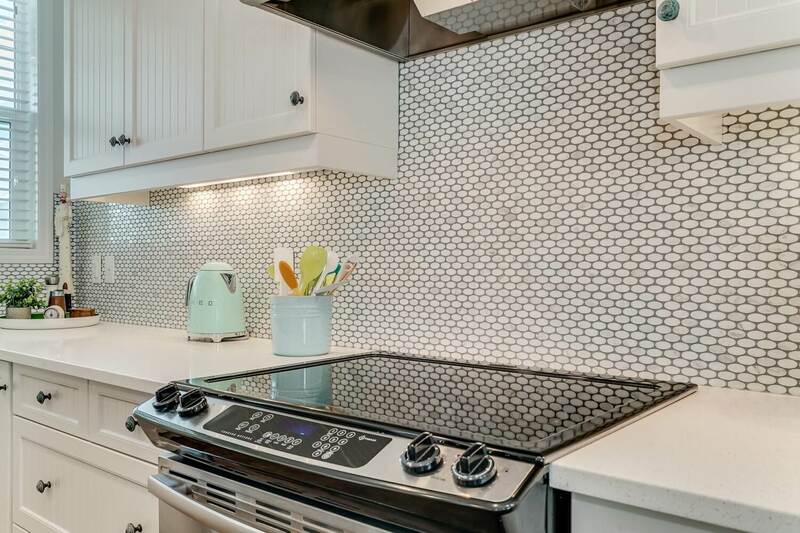 The home opens in front and to the left into a kitchen steeped in a prairie feel with cabinets that reference beadboard by their vertical lines, and a marble mosaic tile backsplash that stretches from the counter to the cabinets, including under the window. 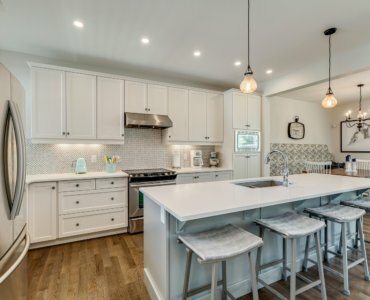 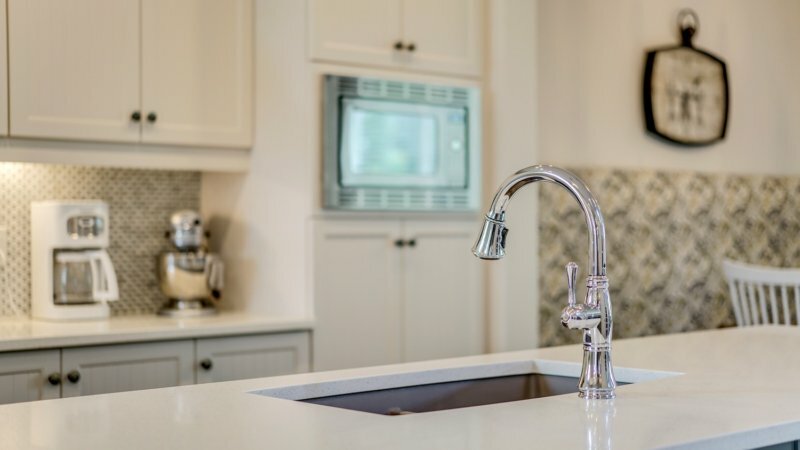 White quartz counters complement the look, especially on the long island that holds court in the centre, running lengthwise in the home. 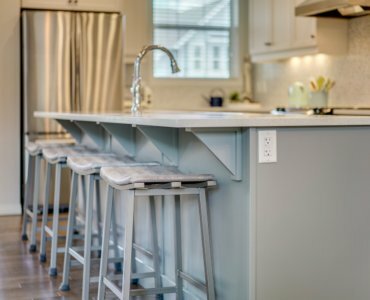 The counters flow in an L-shape around two sides of the island, with a window looking out the front of the home providing natural light. 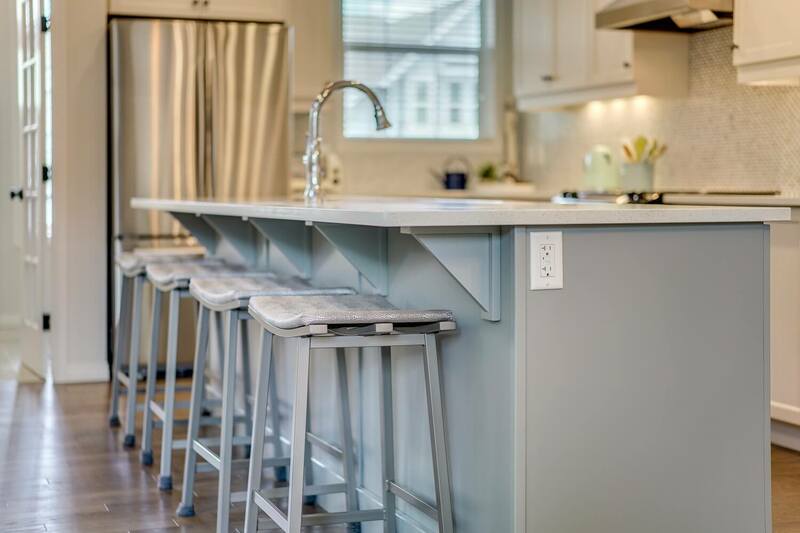 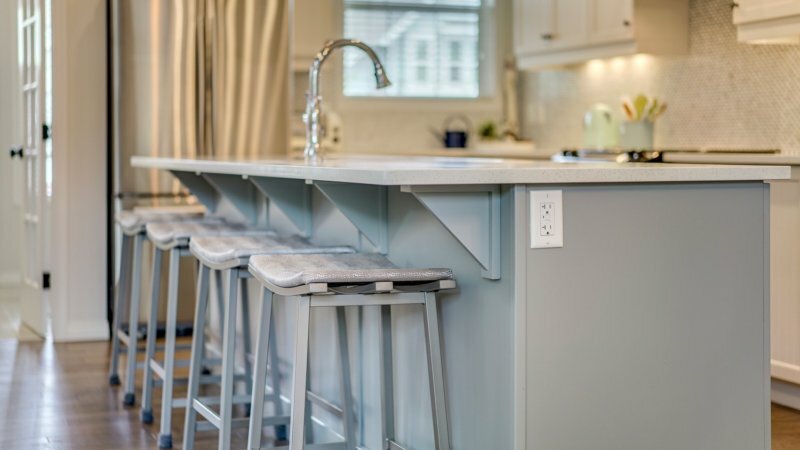 The island houses a light brown under-mount Blanco sink, as well as the dishwasher. 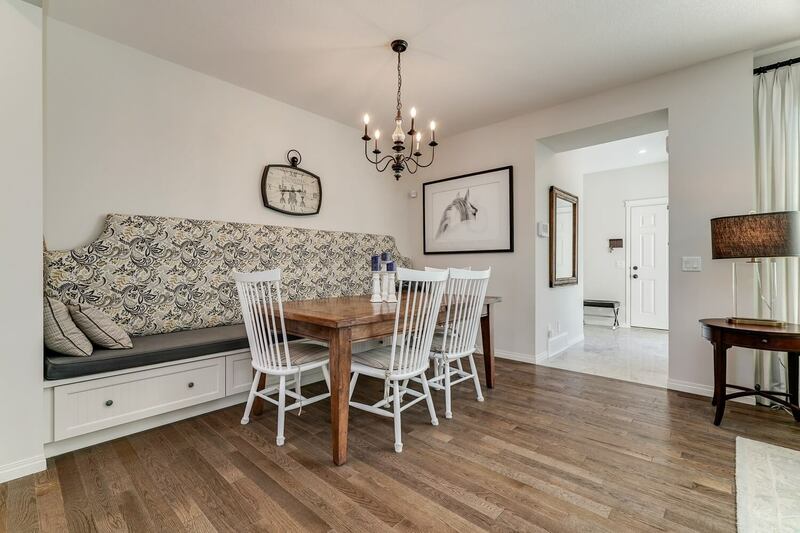 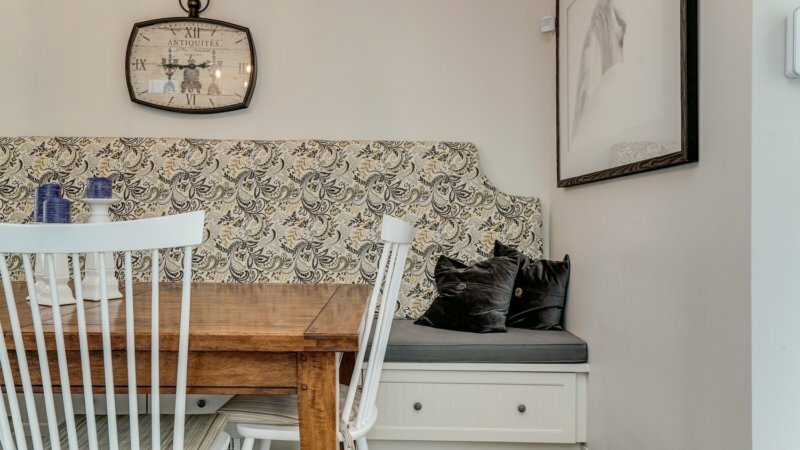 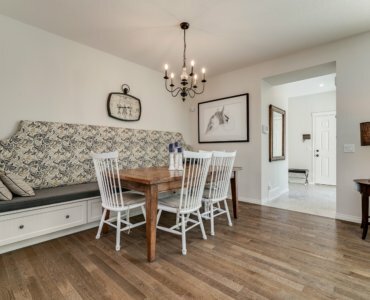 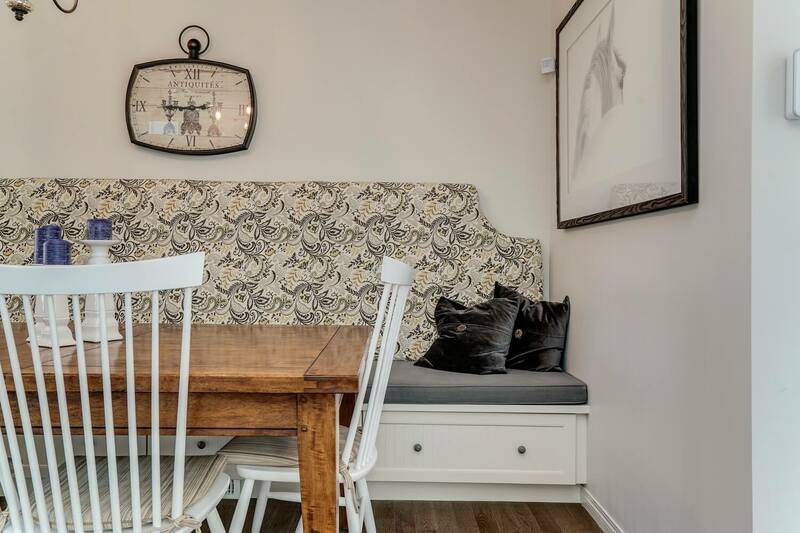 Extending from the kitchen, but defined as different space by a dropped bulkhead, is an expansive dining area with a built-in bench seat running the length of the wall. 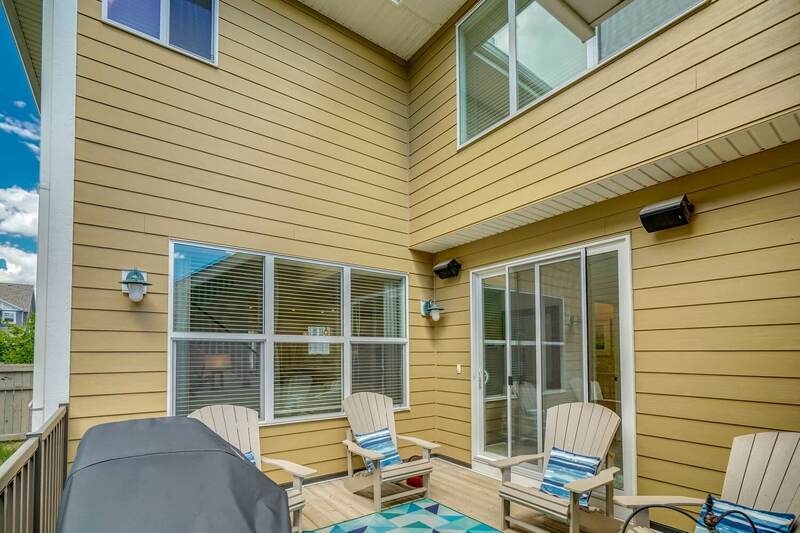 Facing the dining area is the great room, with a fireplace on the outside wall, and a window facing onto the side outdoor patio. 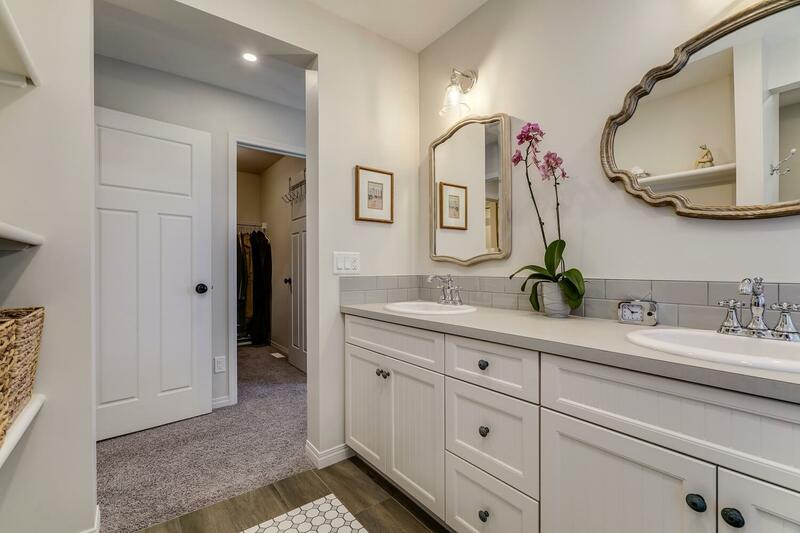 The back part of the home houses a half-bathroom, mudroom, closet and access to both the two-car garage and the side patio. 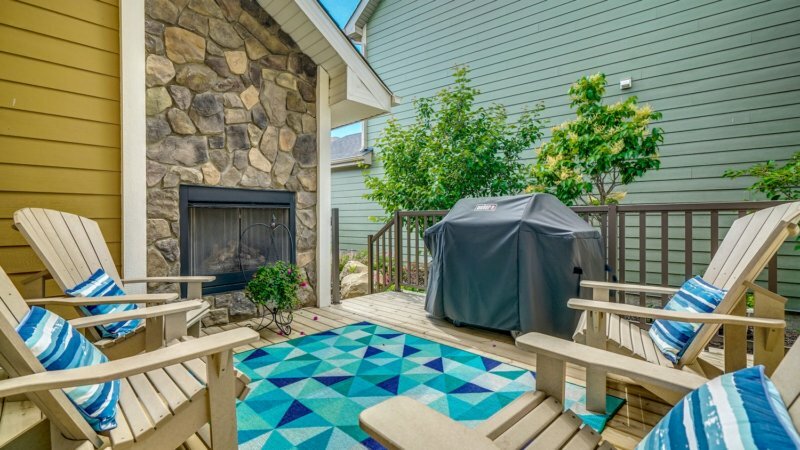 The patio feels like a private retreat. 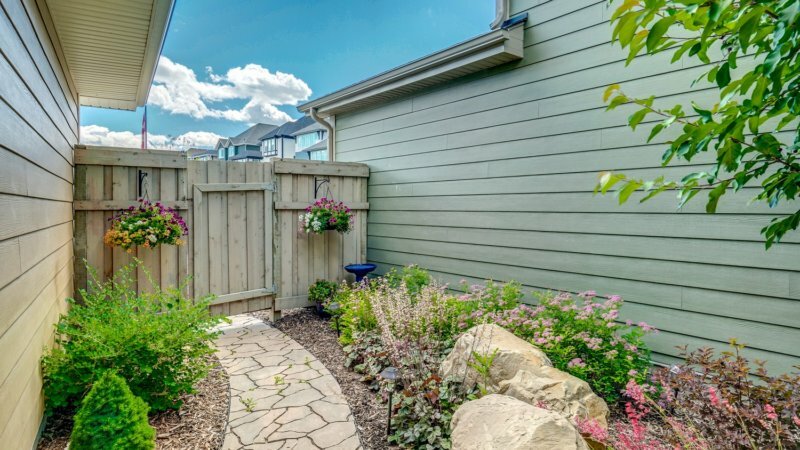 With walls on three sides, it is protected from wind while offering a great deal of privacy. 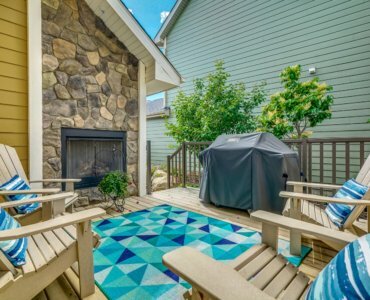 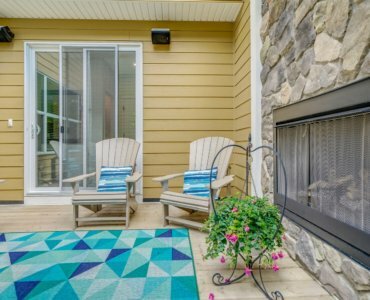 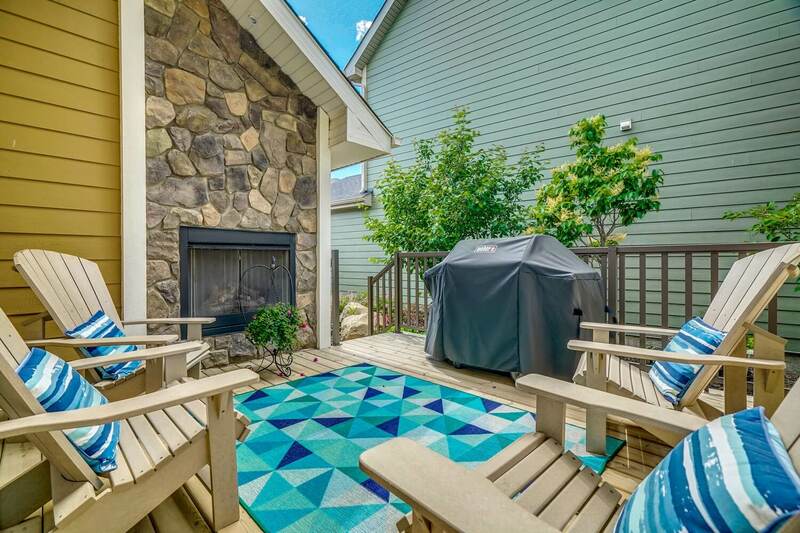 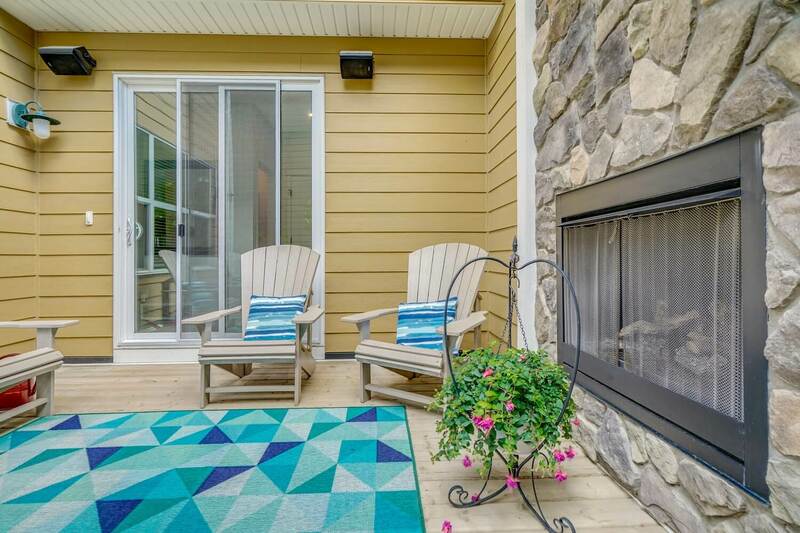 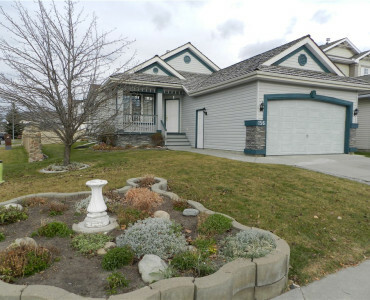 There is room for a barbecue and yard furniture, along with an optional outdoor fireplace housed on the garage wall. 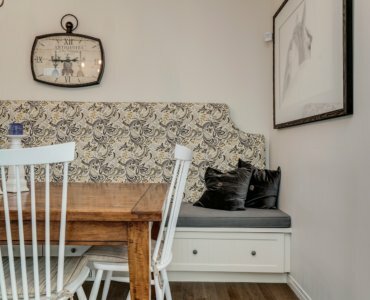 The home offers character in fun places. 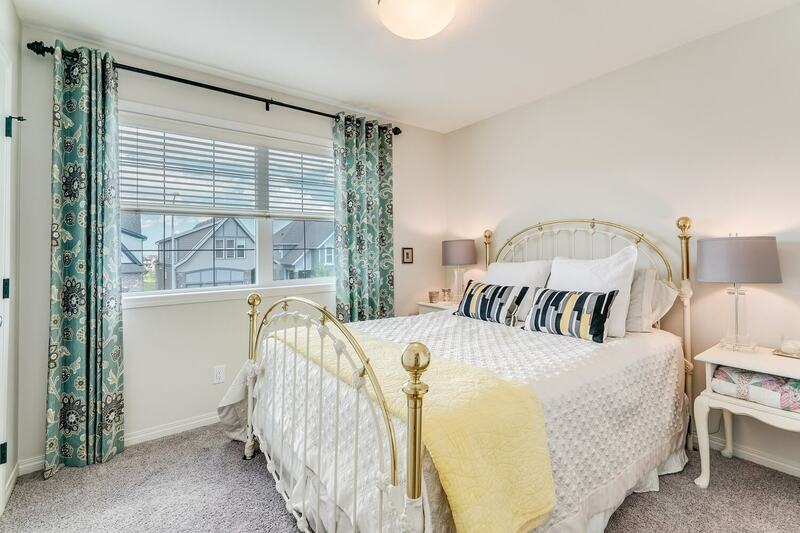 One of the secondary bedrooms, for instance, has an outset under the window, with enough room for a stuffed bear tea party at a table for small people, or a desk or a reading chair for bigger ones. 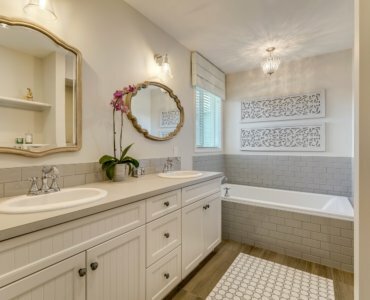 A tray ceiling framing a chandelier in the main floor half-bathroom adds elegance to the high-traffic space. 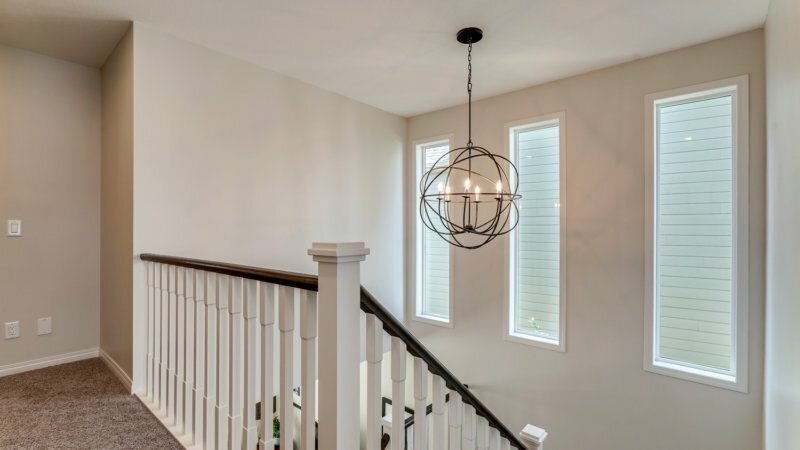 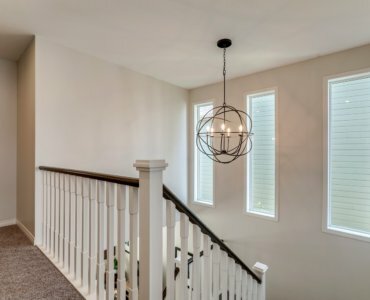 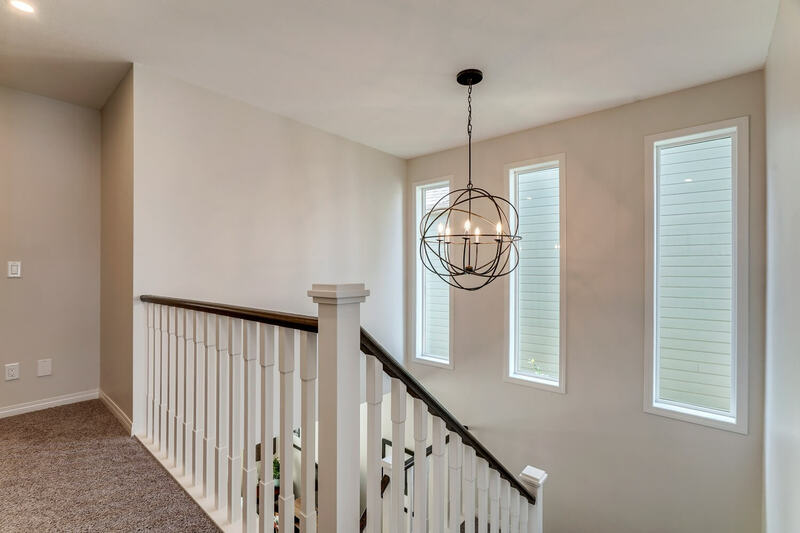 Even at the front entrance, the space between the foyer and the kitchen is defined by a dropped bulkhead. 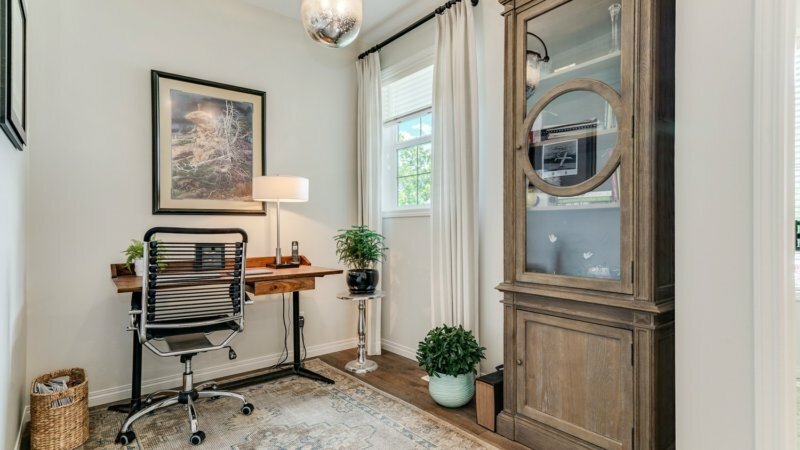 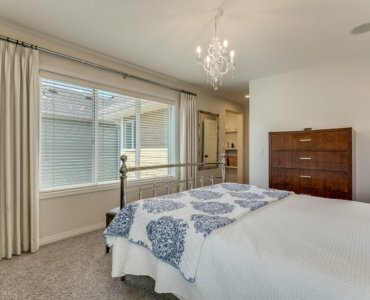 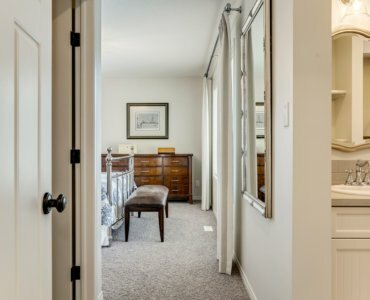 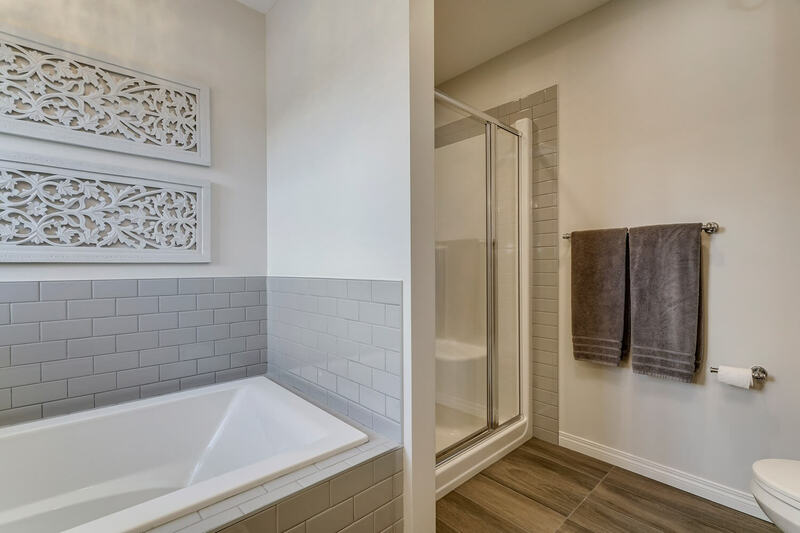 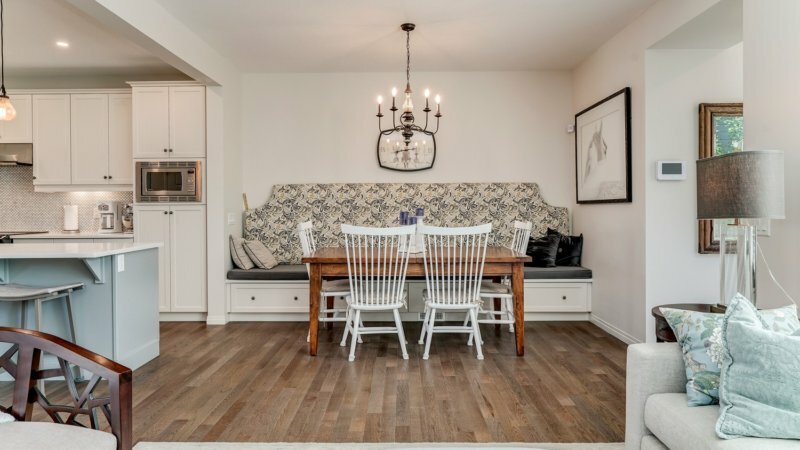 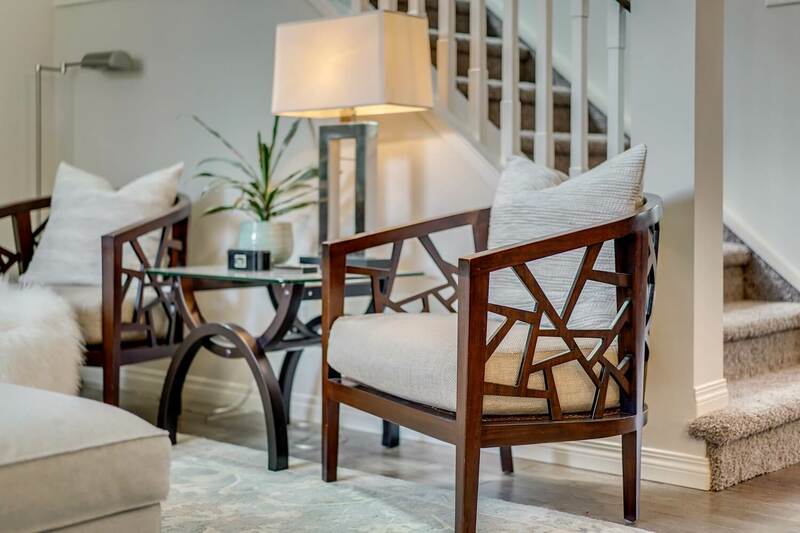 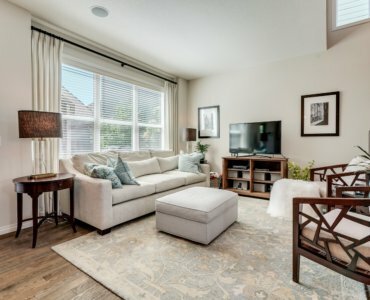 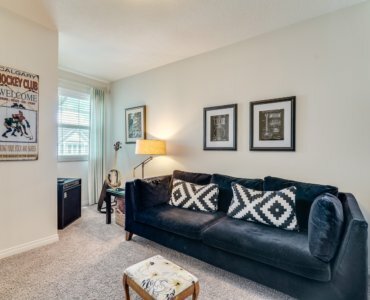 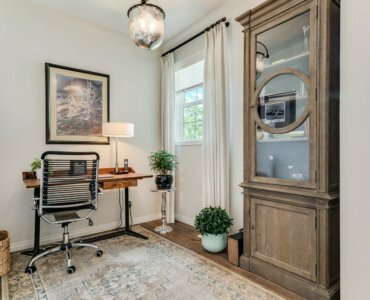 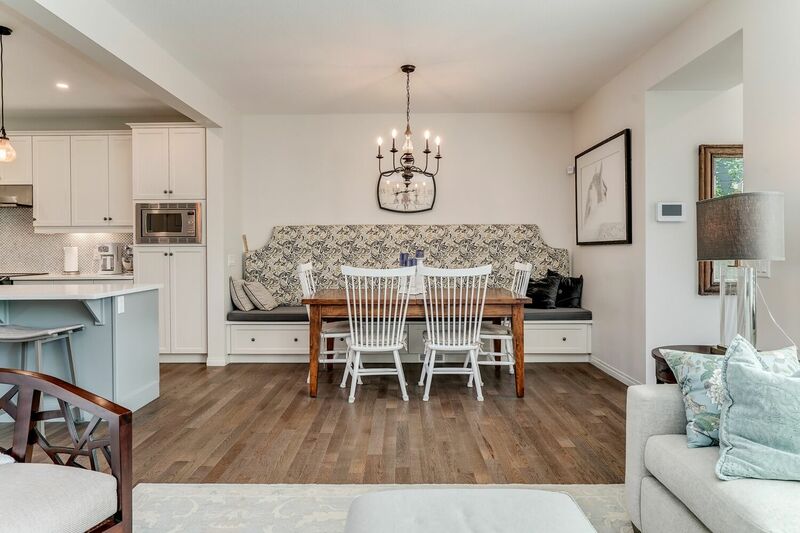 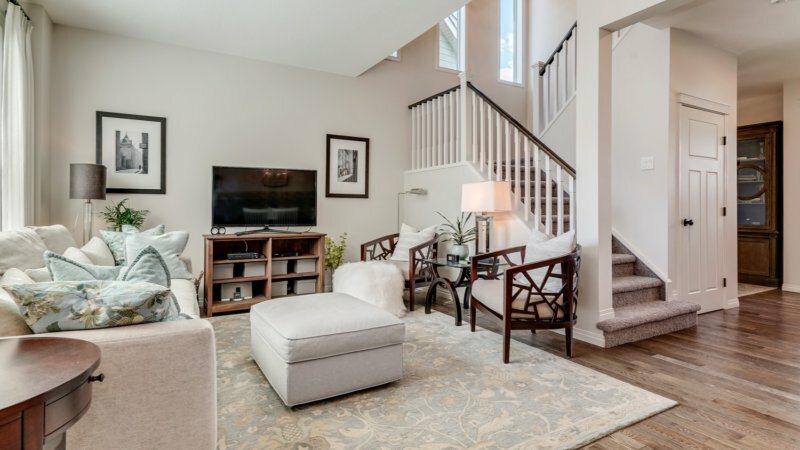 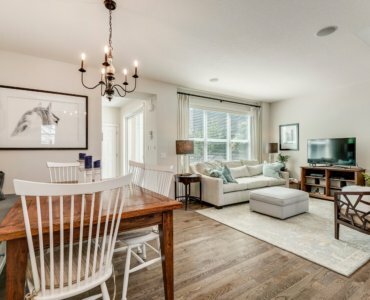 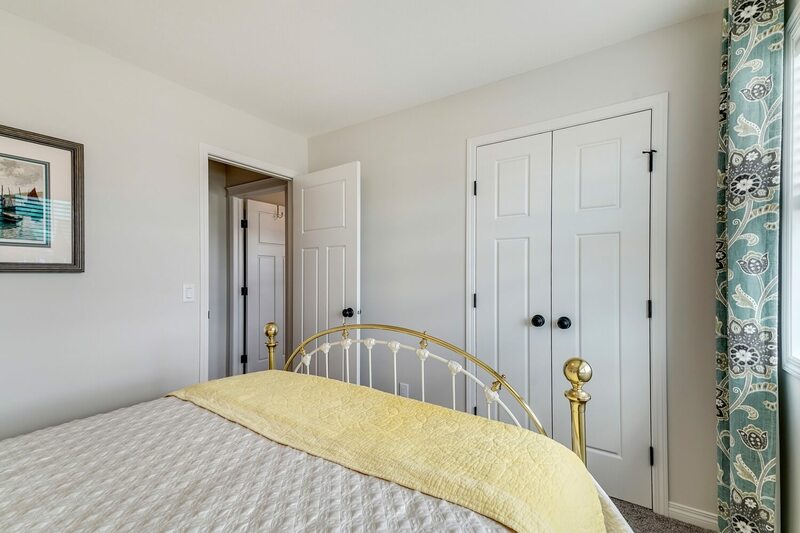 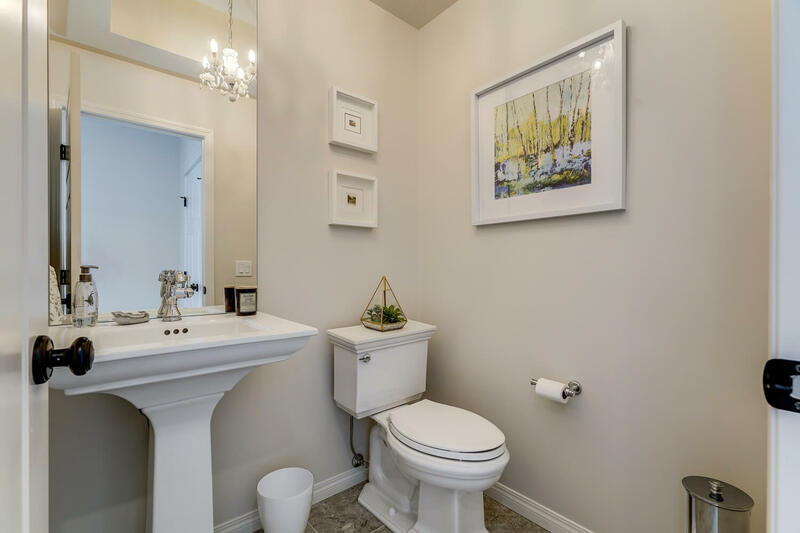 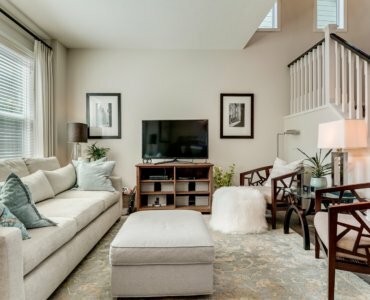 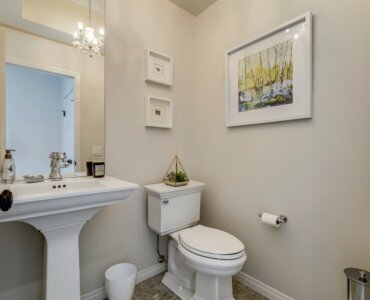 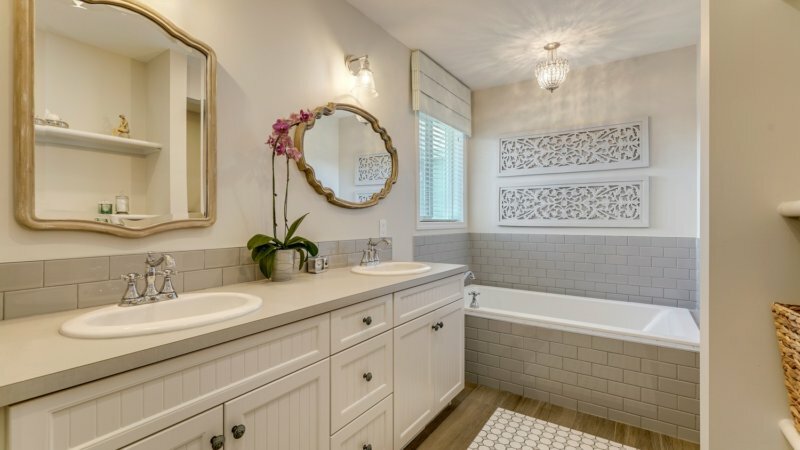 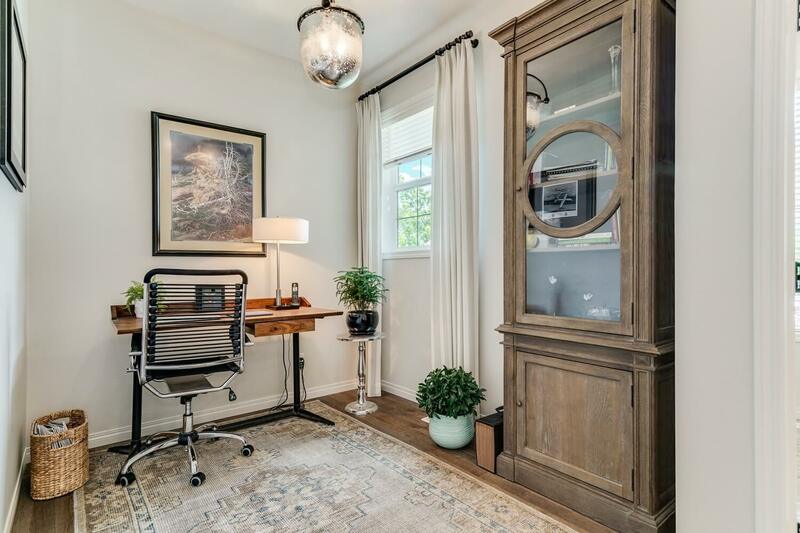 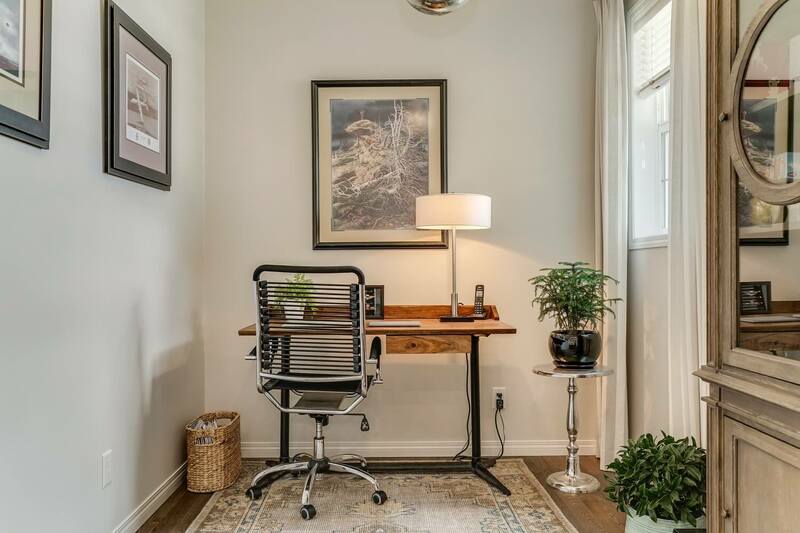 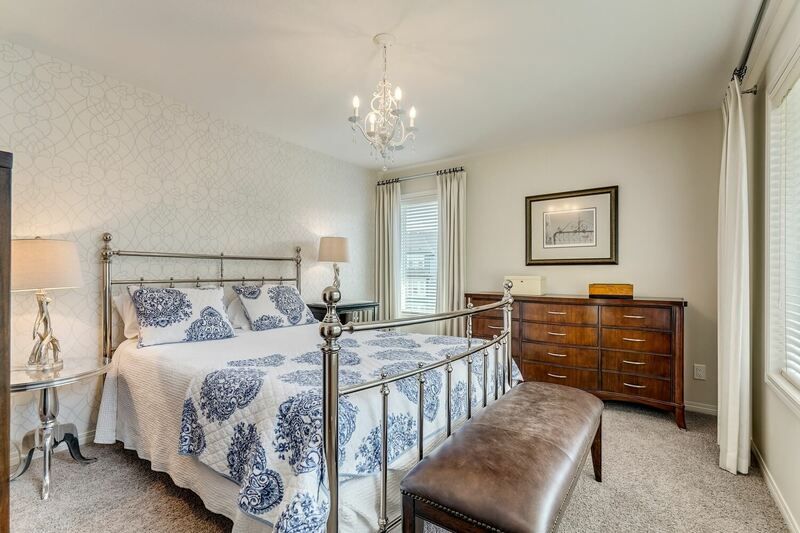 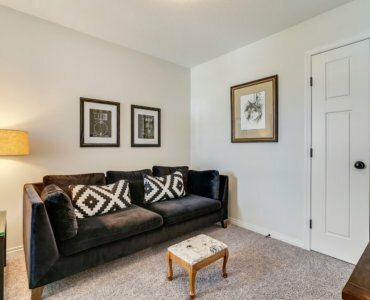 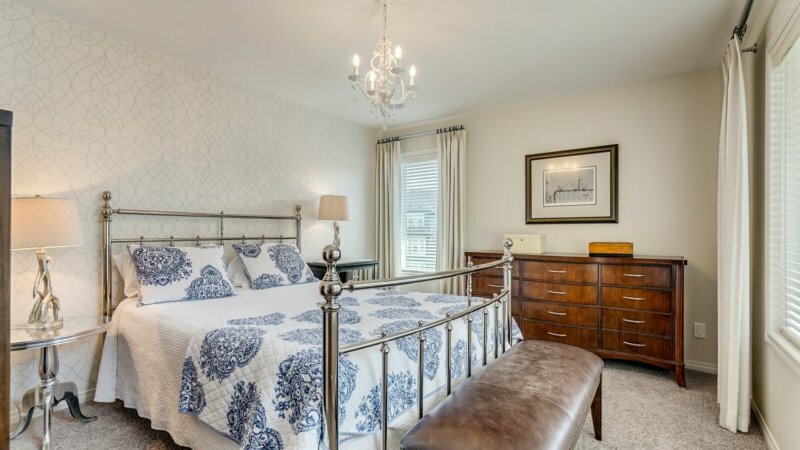 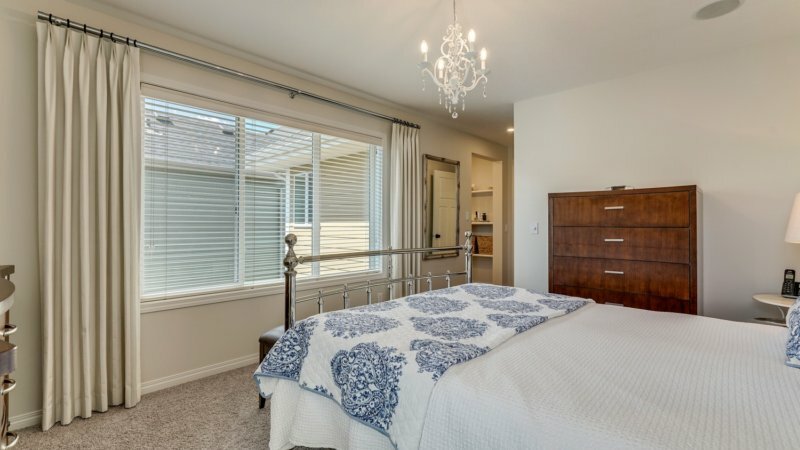 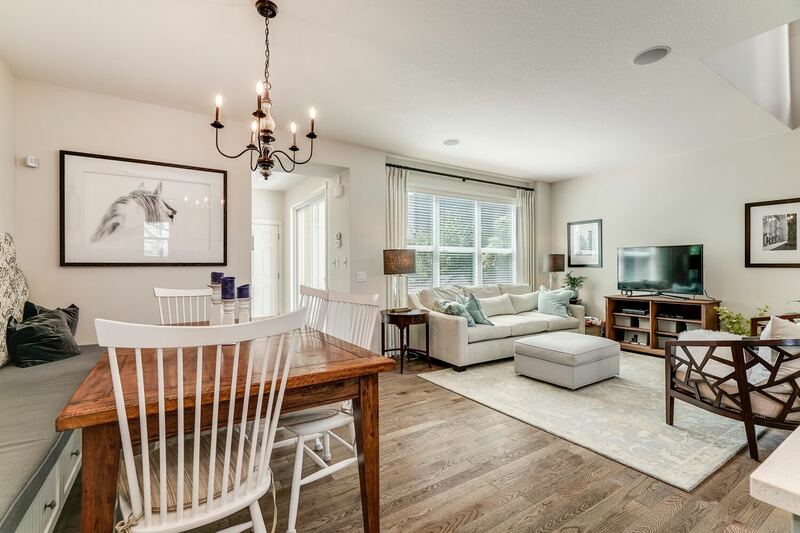 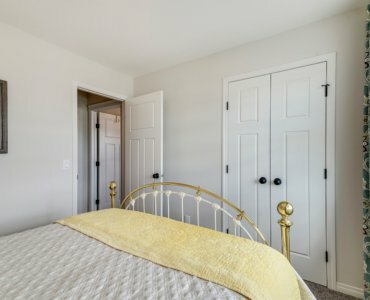 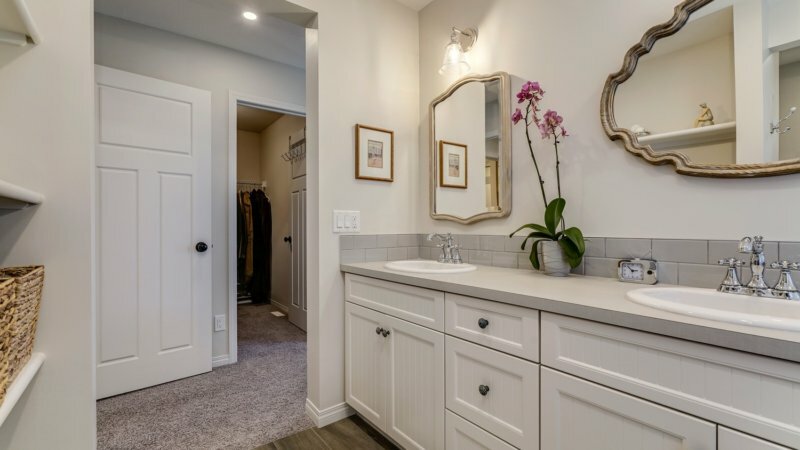 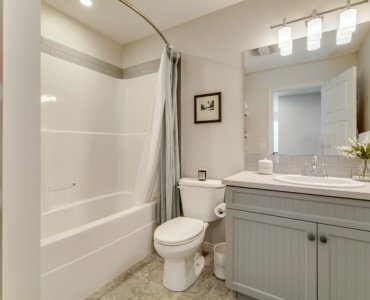 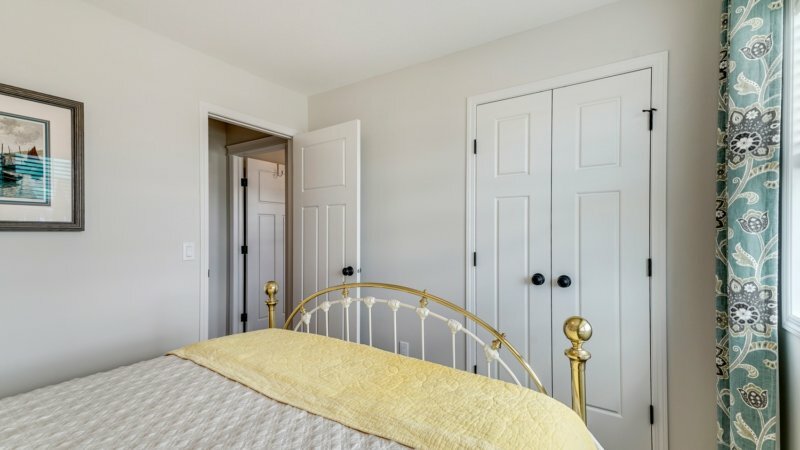 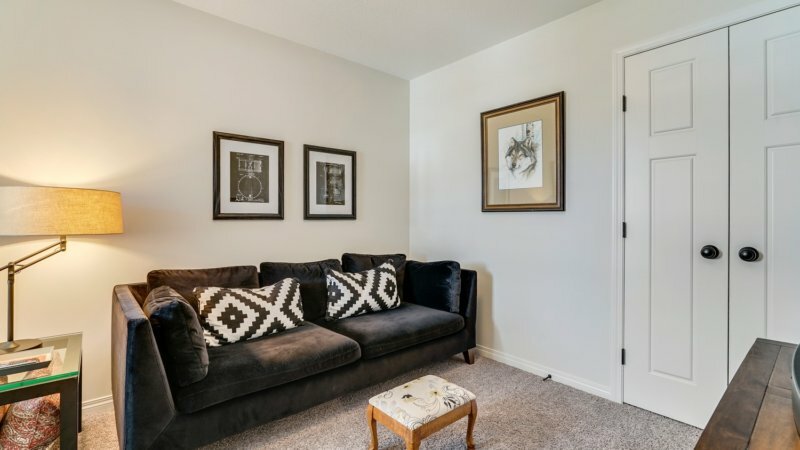 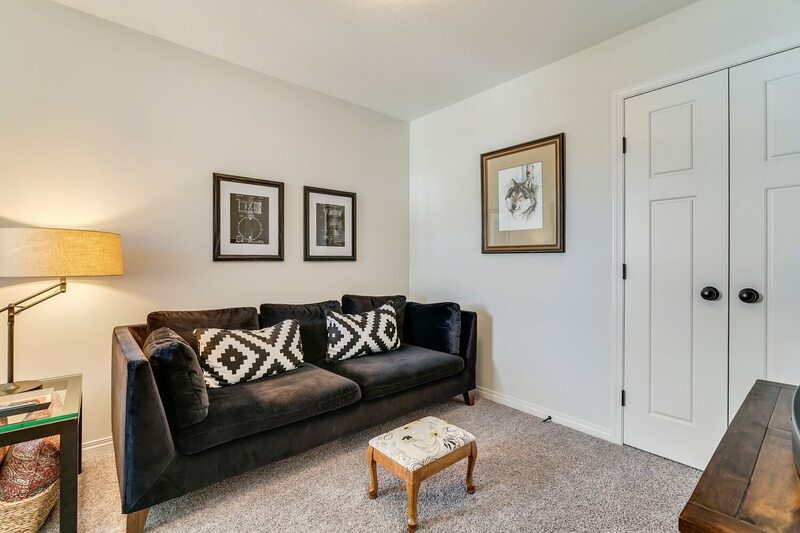 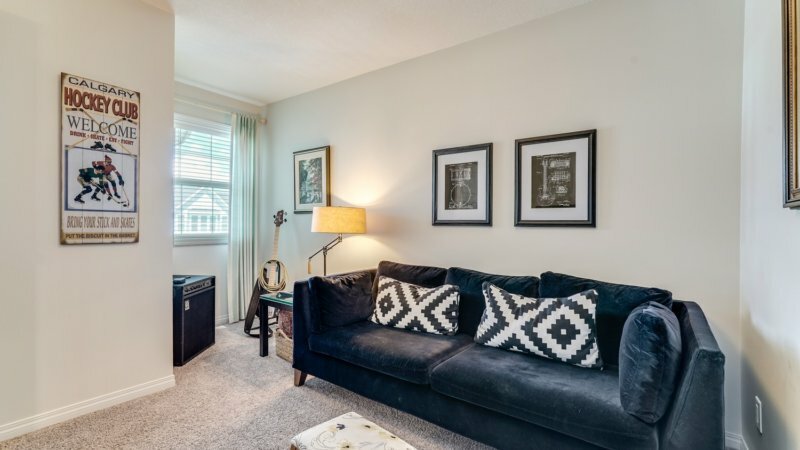 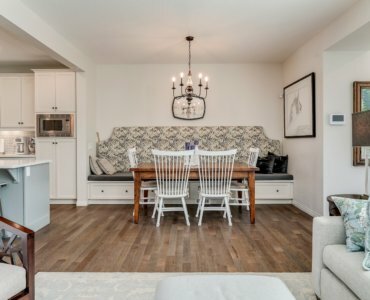 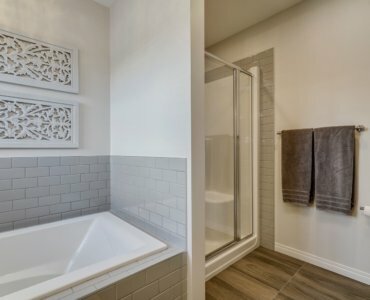 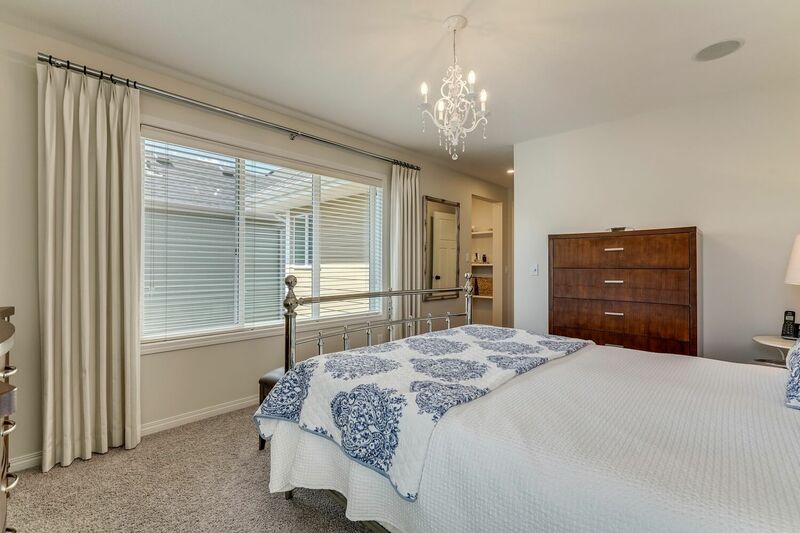 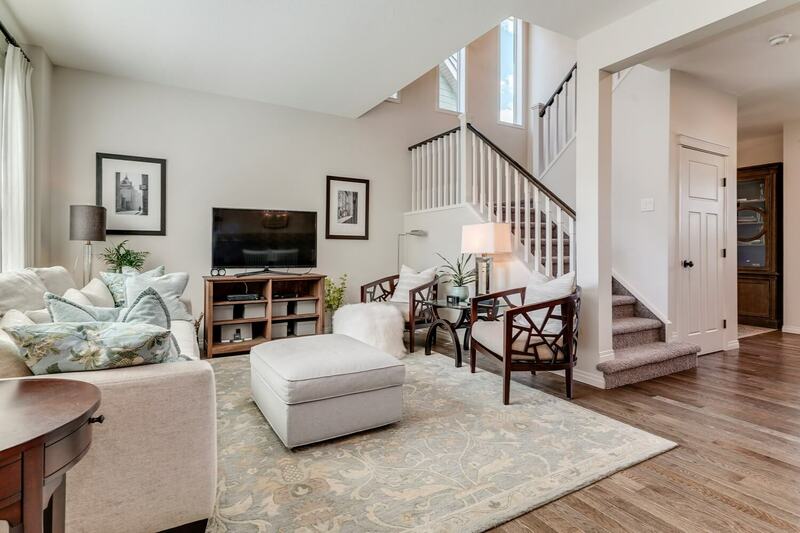 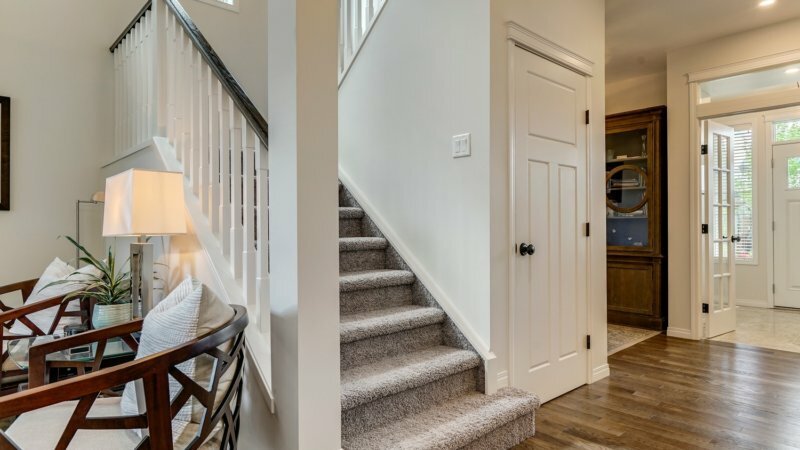 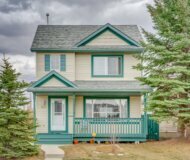 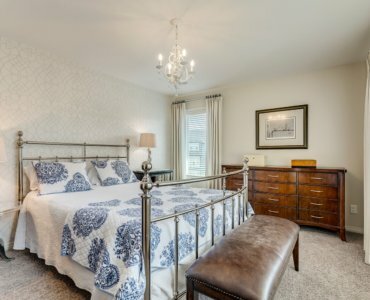 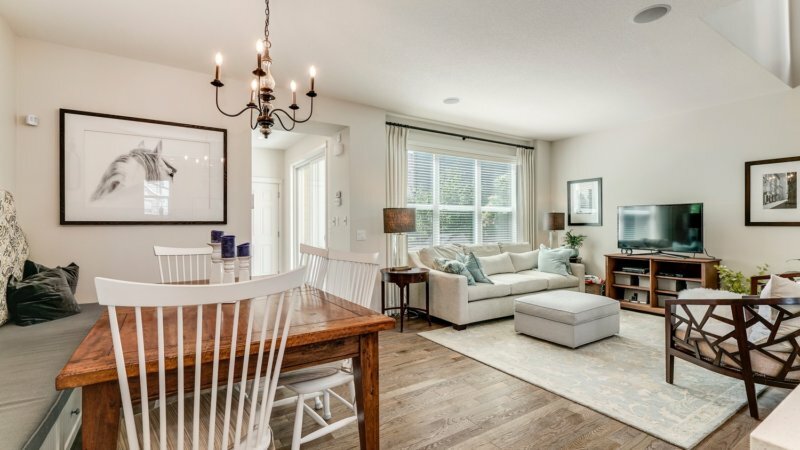 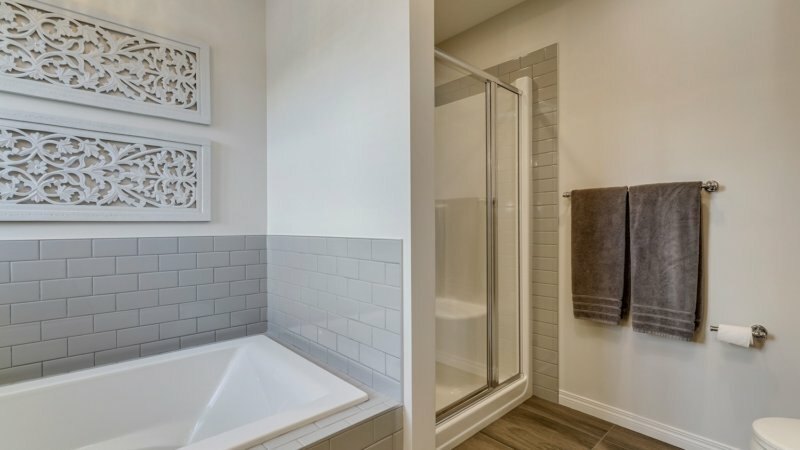 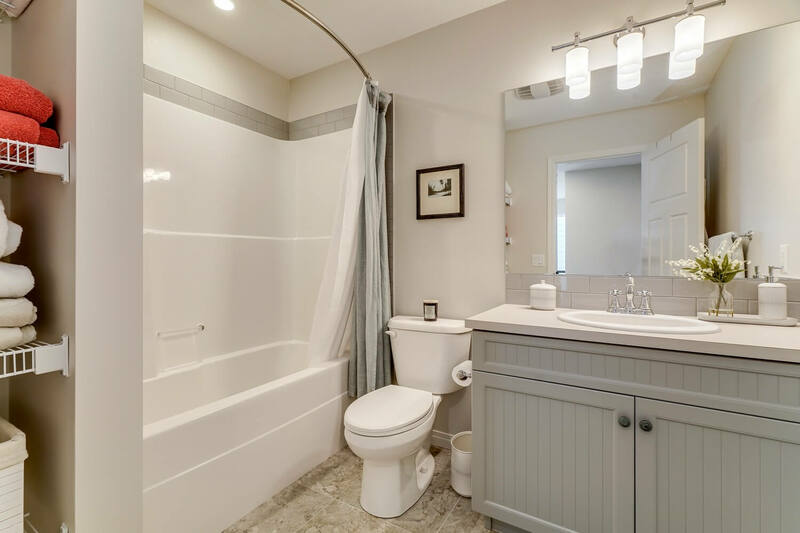 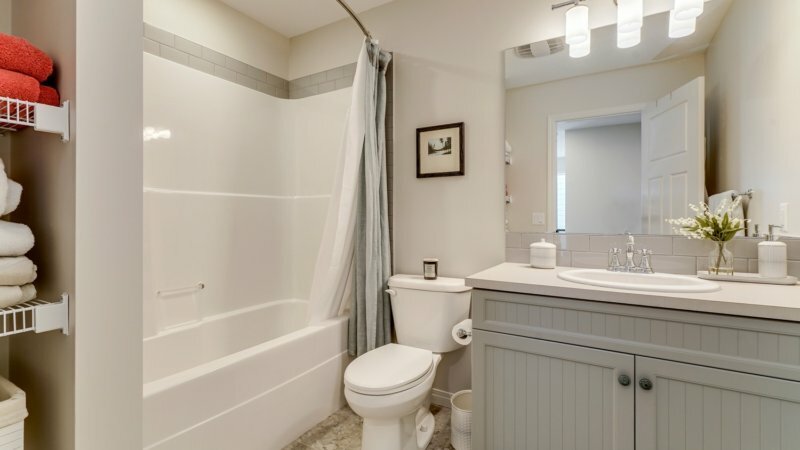 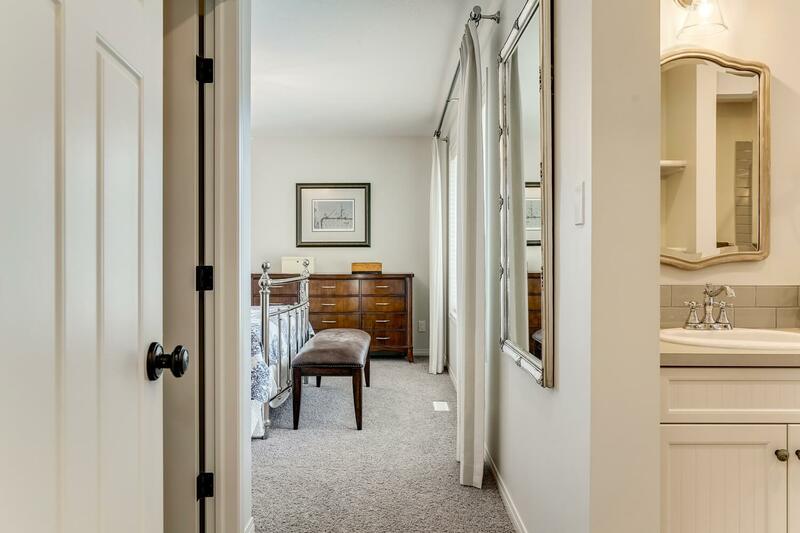 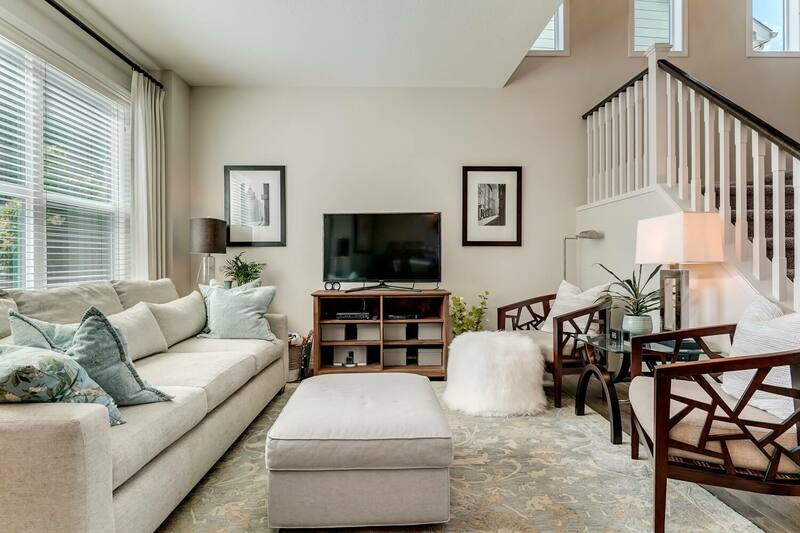 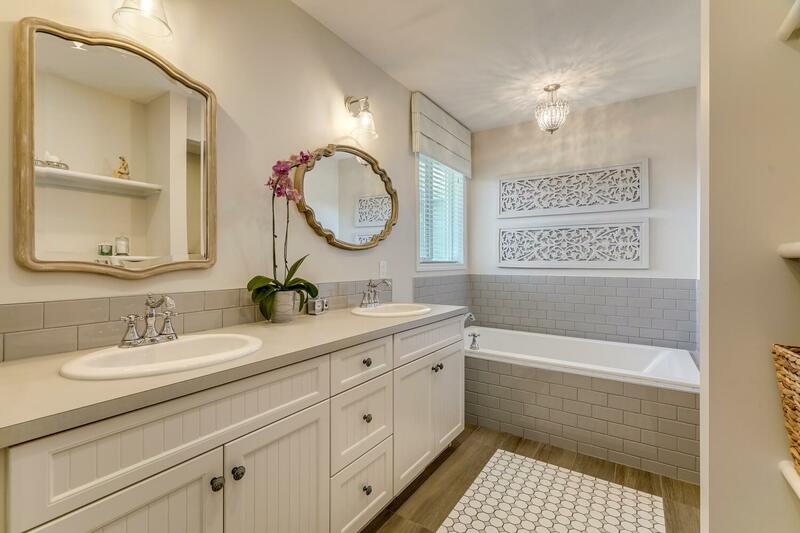 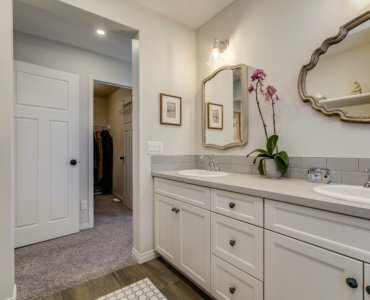 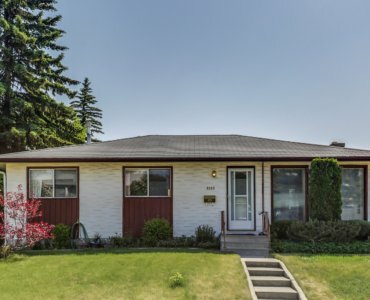 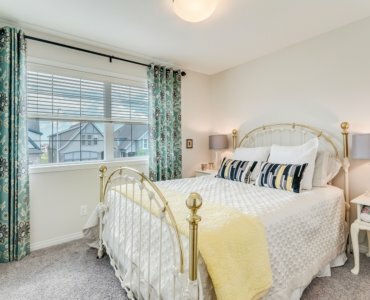 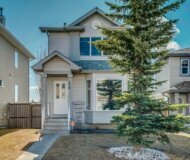 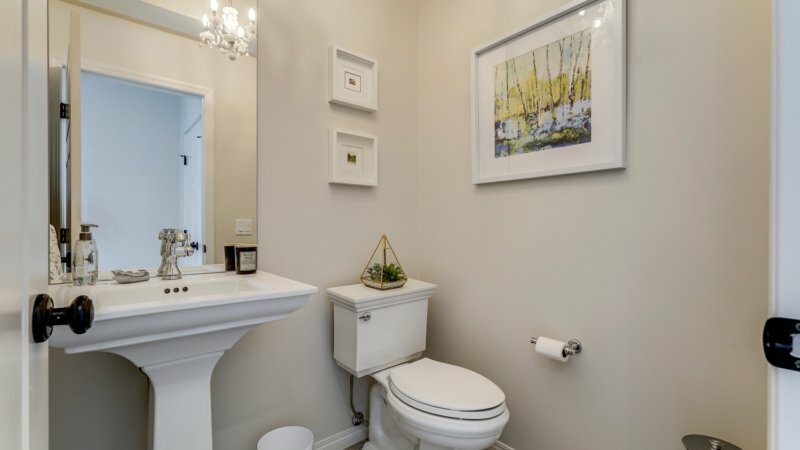 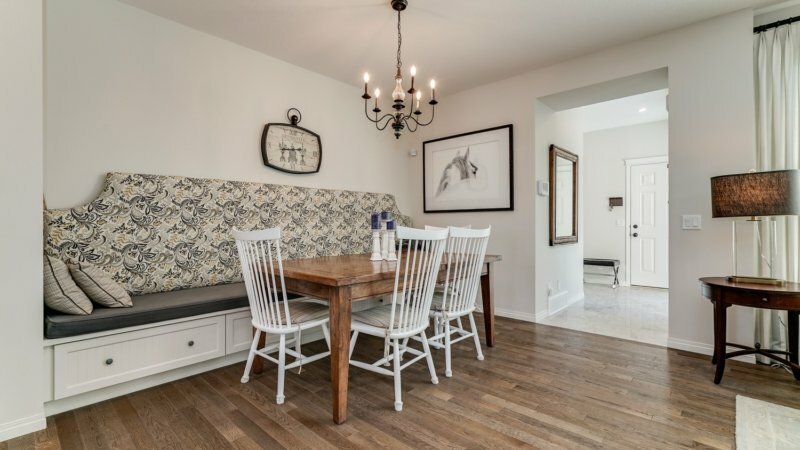 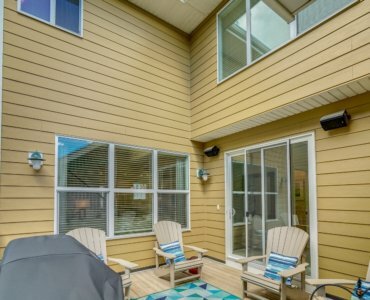 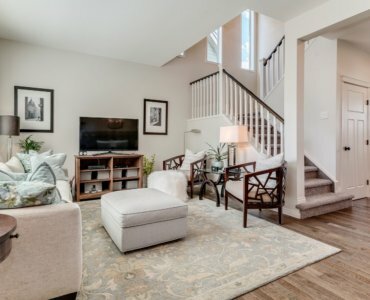 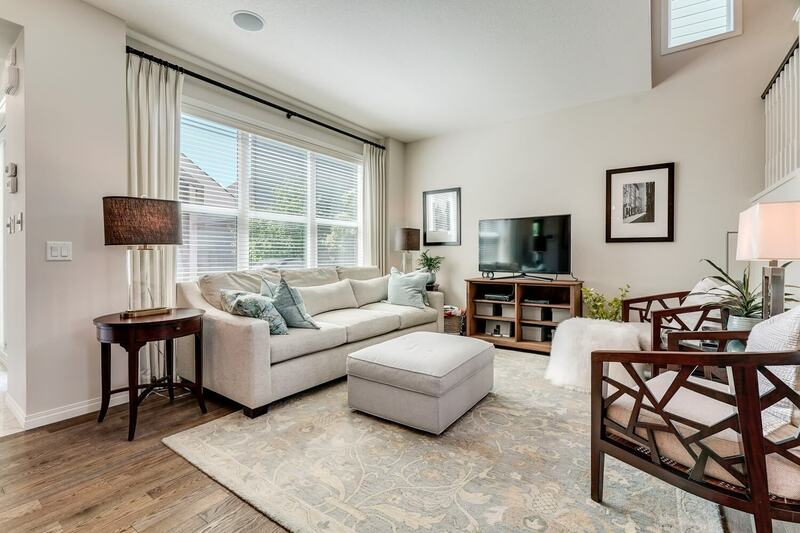 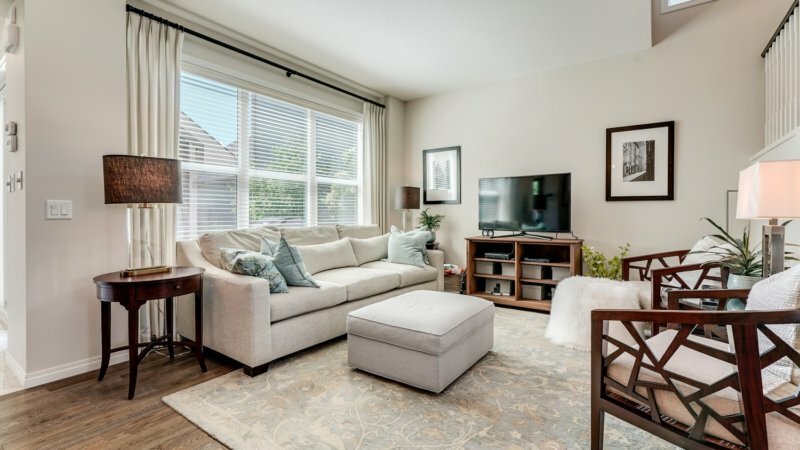 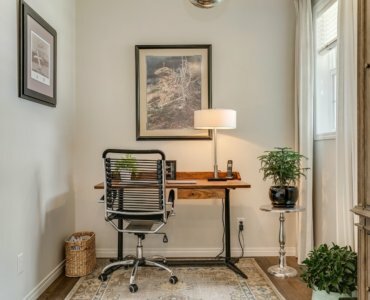 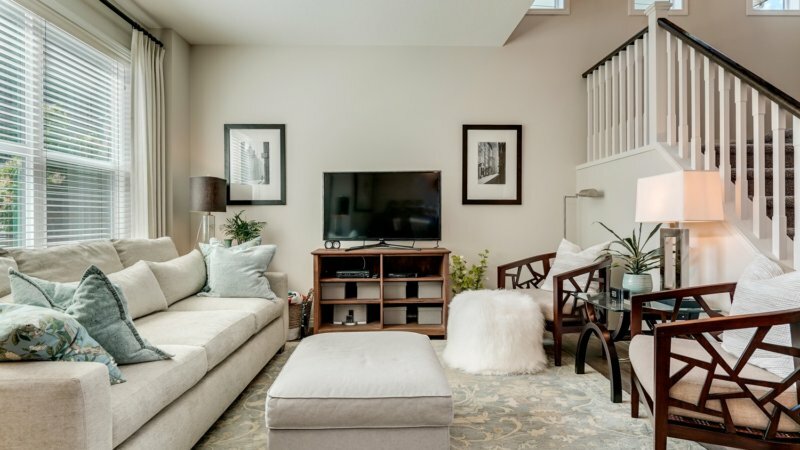 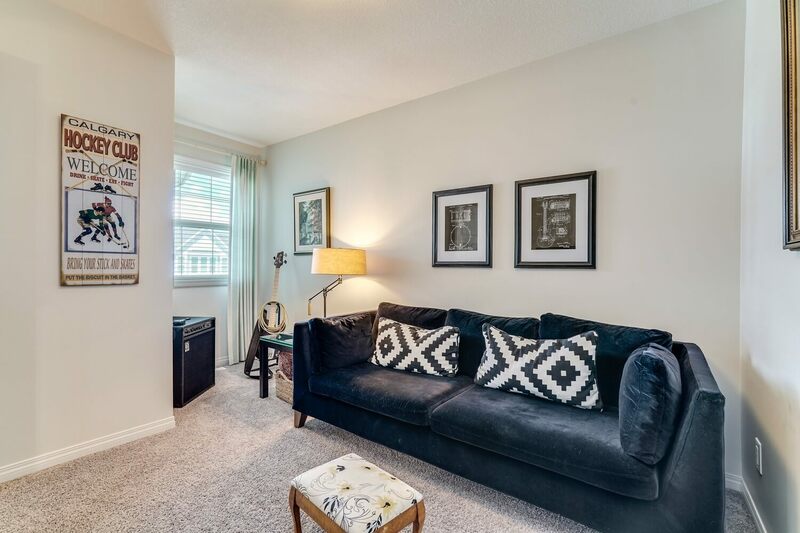 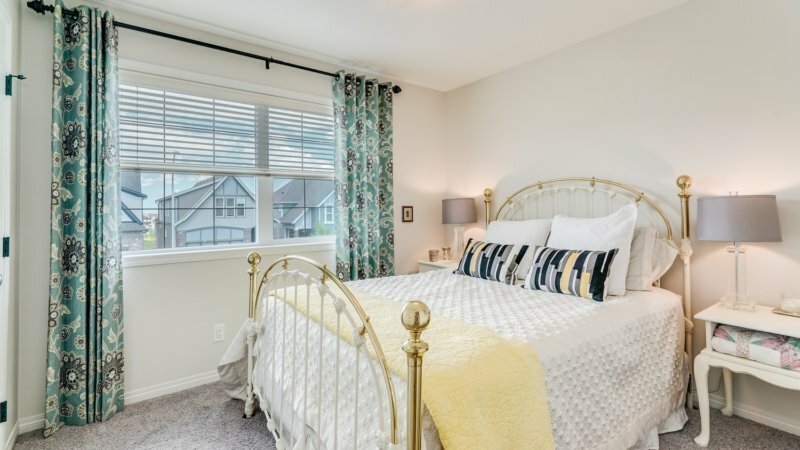 There is space where it’s needed — generous living spaces on the main floor, with an upper floor featuring a laundry room with space to deal with mounds of clothes, and a master bedroom with a walk-in closet large enough for two. 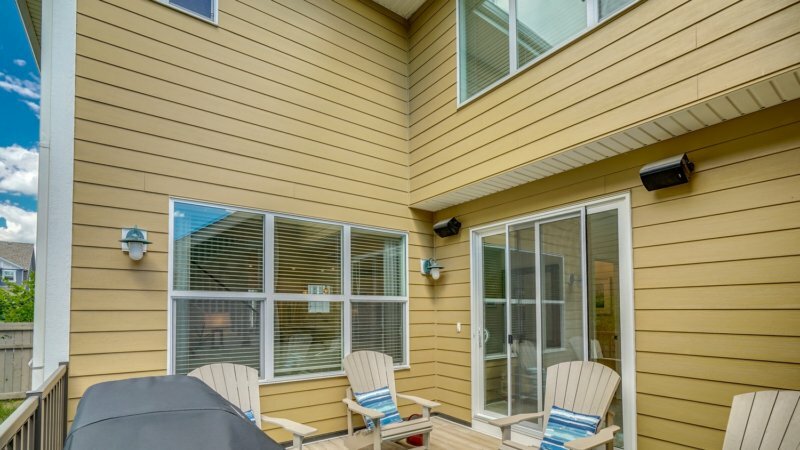 The floor plans of this housing style maximize home space on 32-foot wide, zero lot line sites. 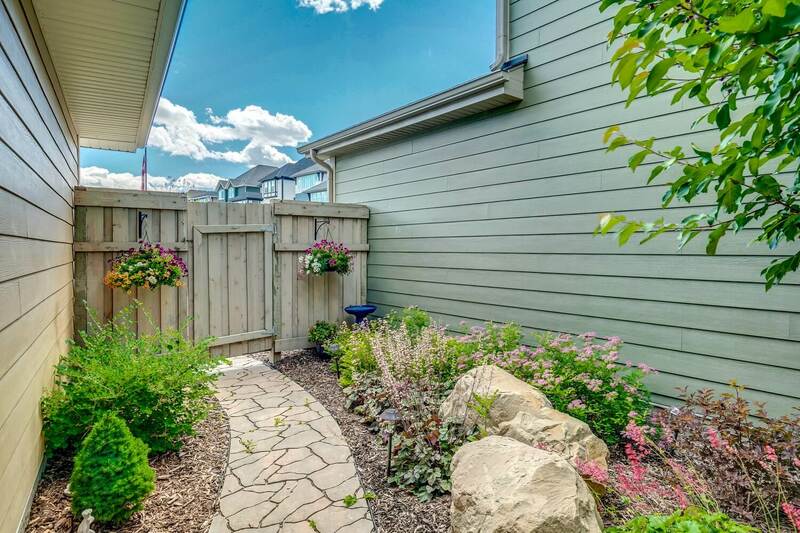 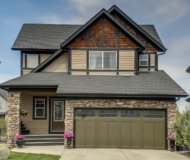 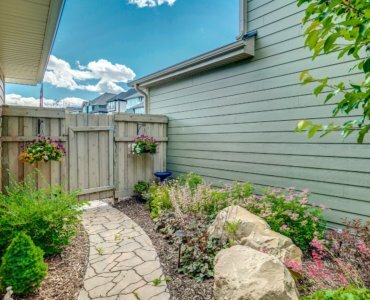 The rear-attached garage homes do not have deep front, back or side yards, making an excellent opportunity to xeriscape the areas or feature a small zen garden beside the garage.